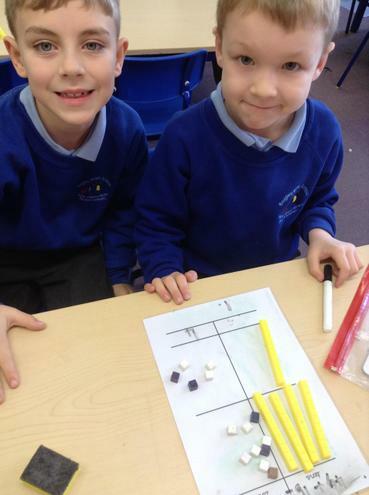 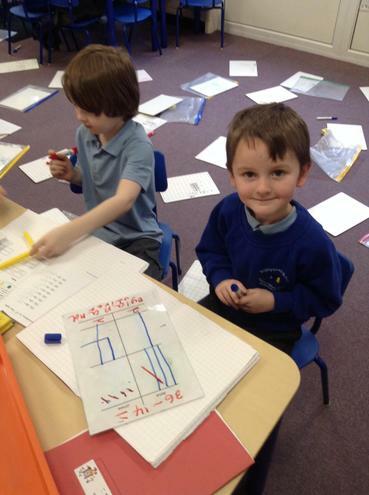 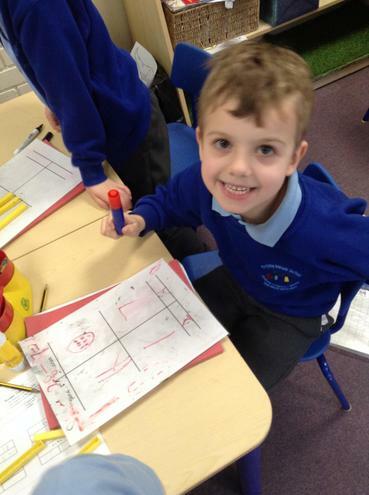 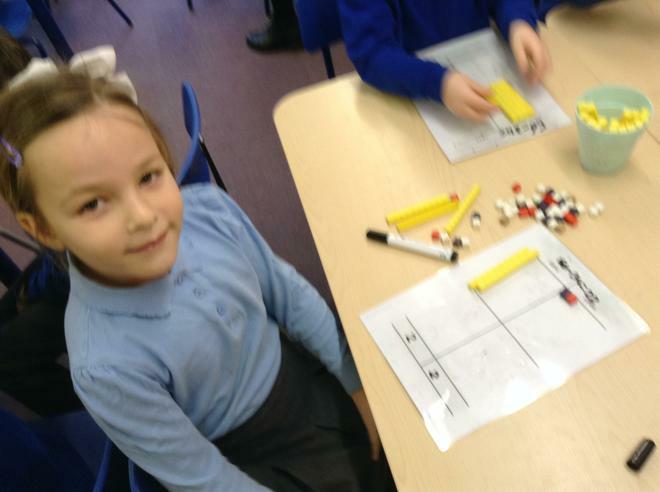 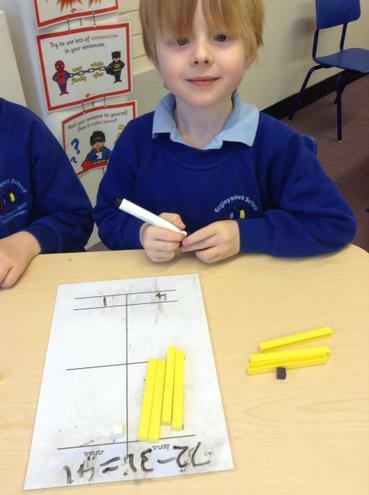 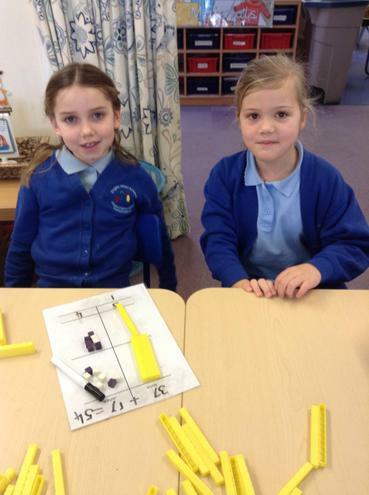 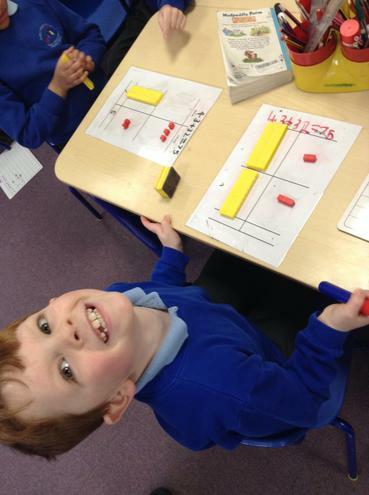 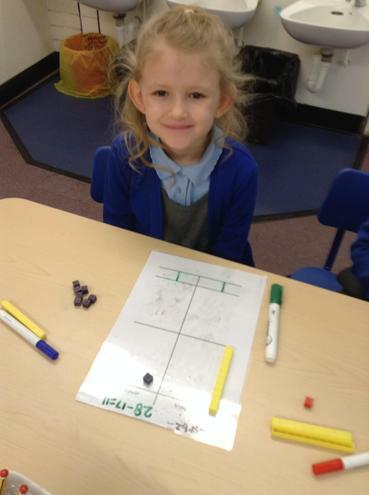 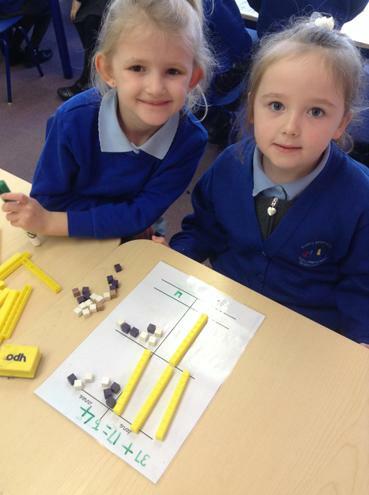 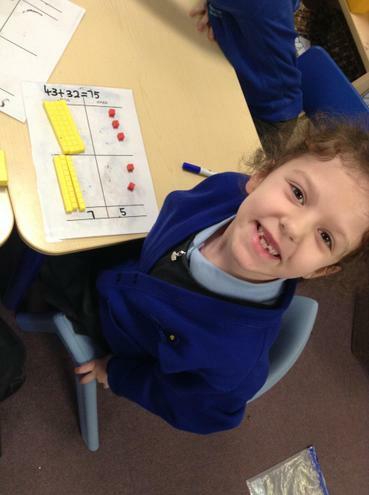 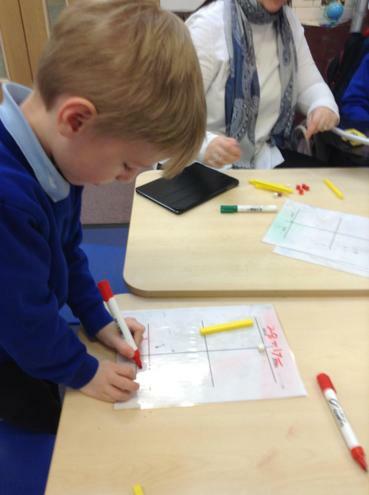 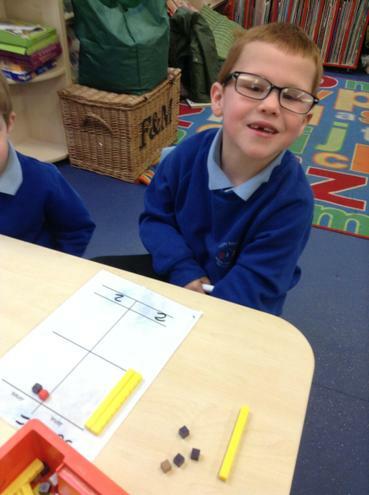 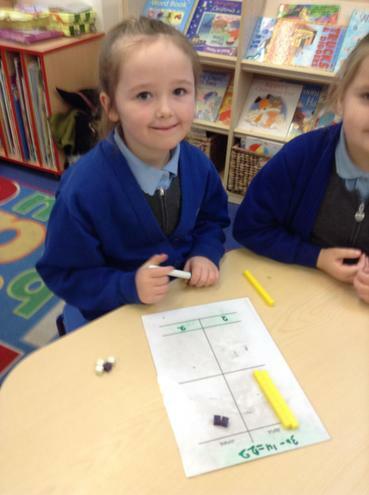 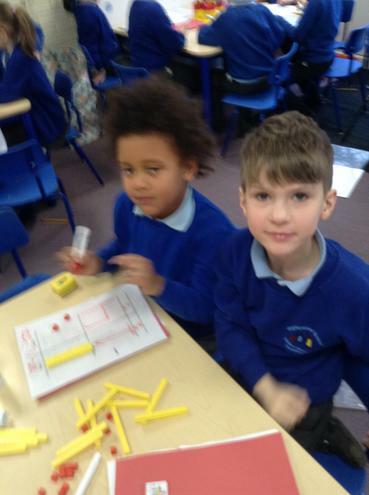 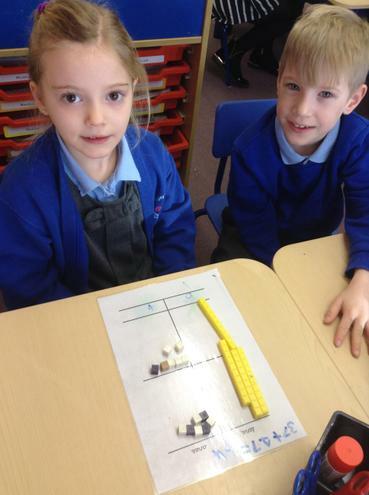 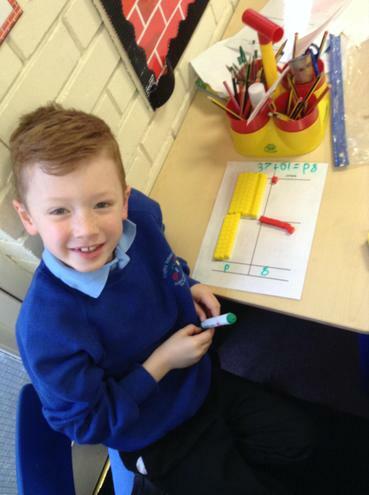 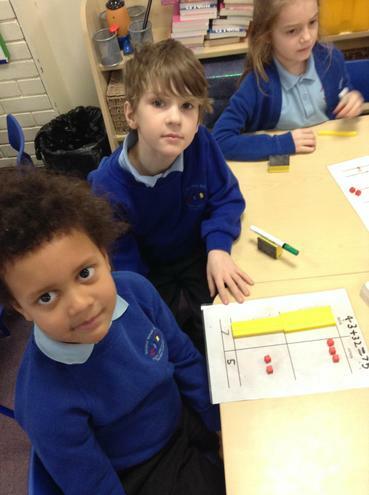 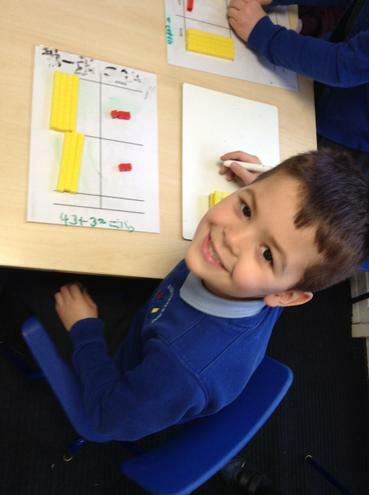 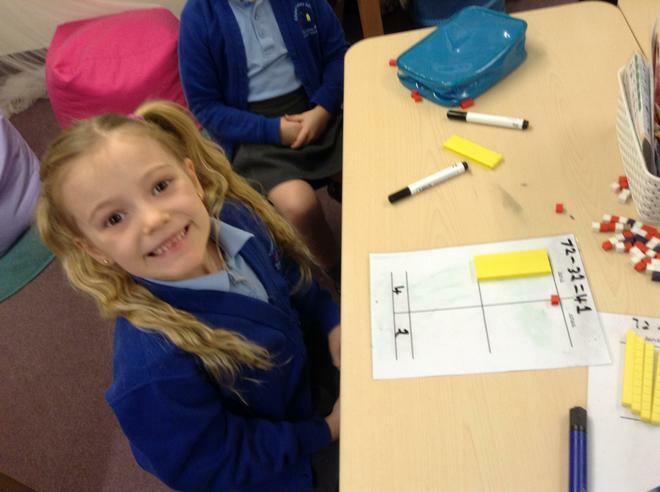 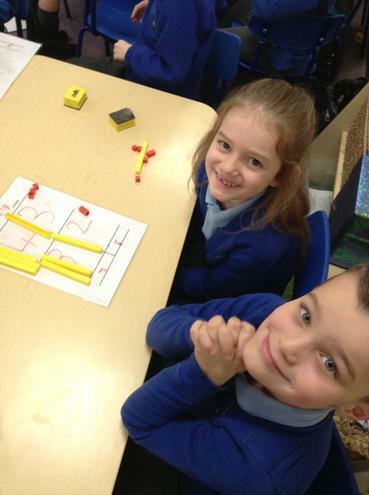 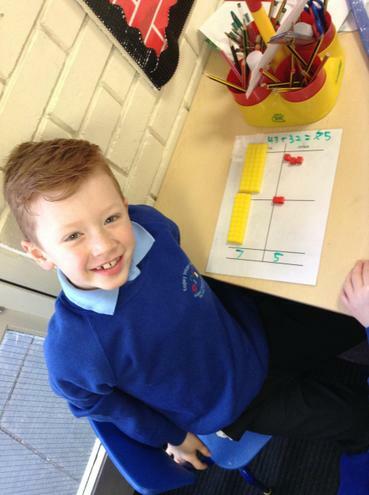 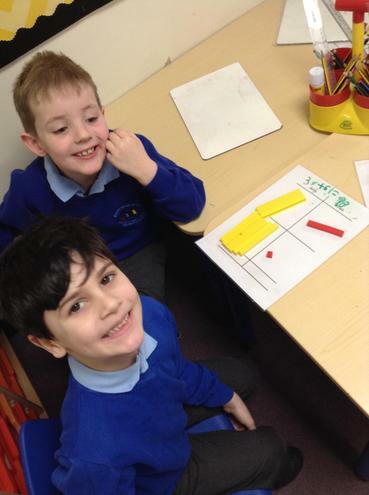 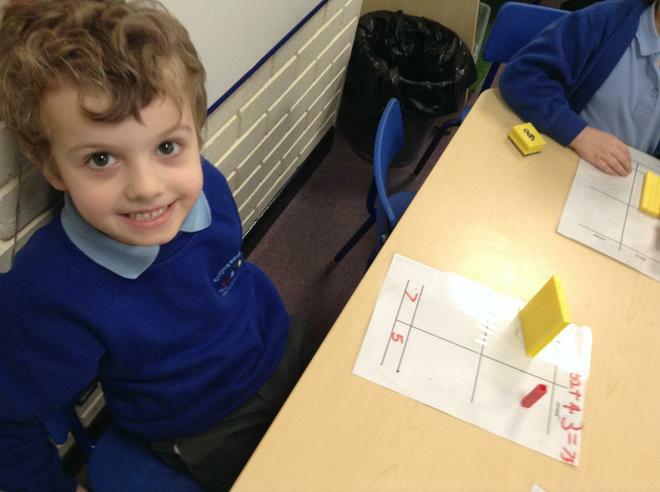 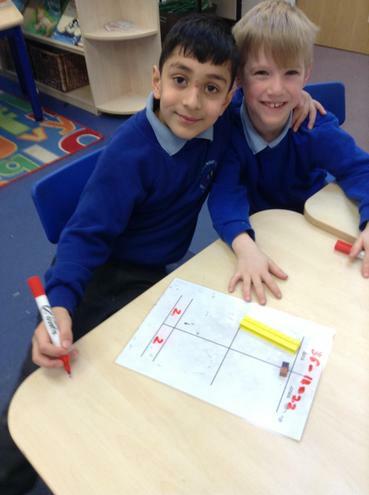 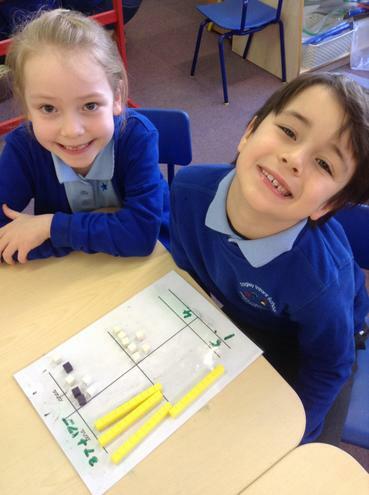 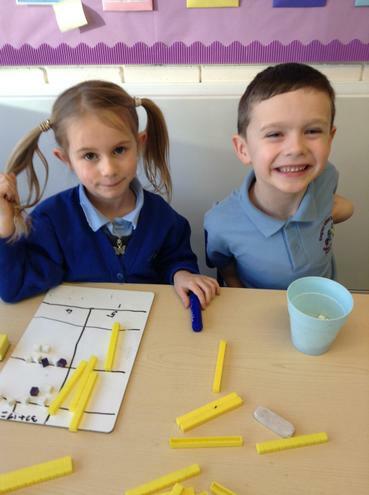 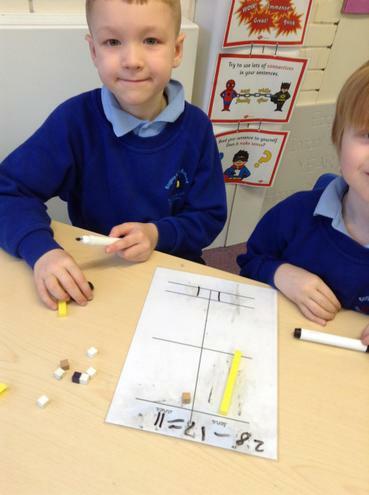 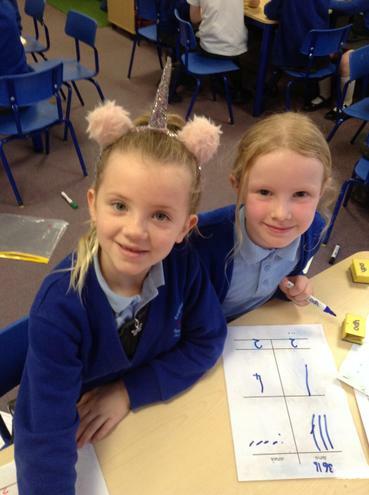 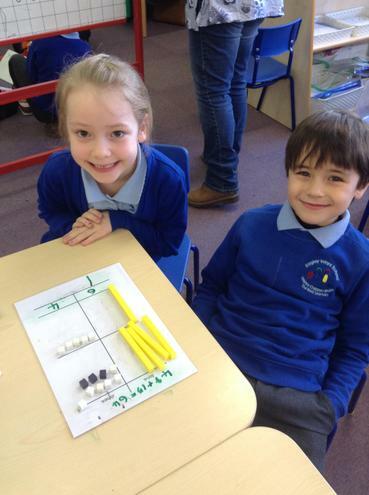 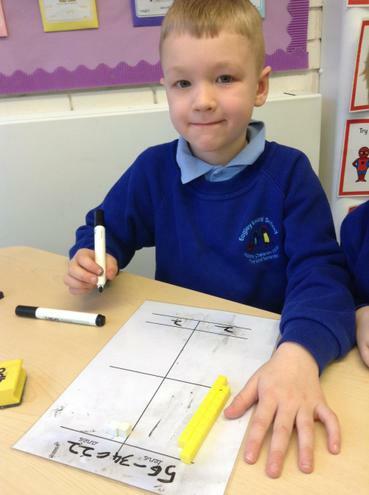 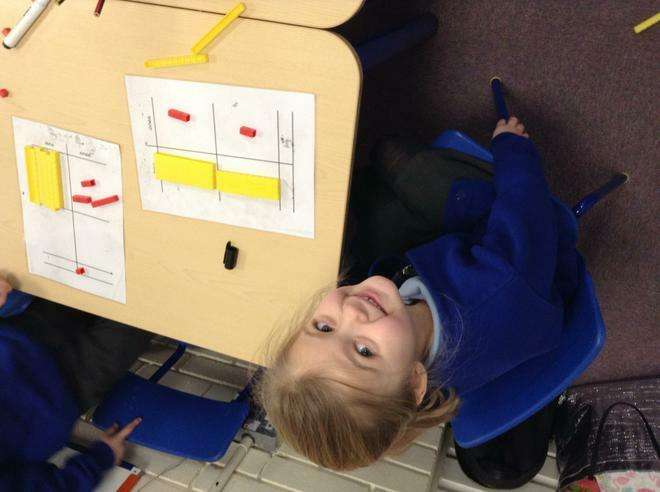 We have been focusing on subtraction this week in Maths. 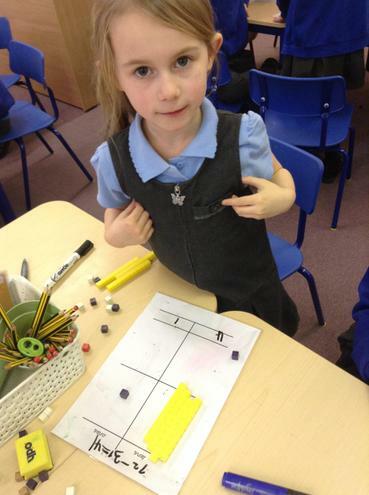 We started the week by subtracting 2, two digit numbers. 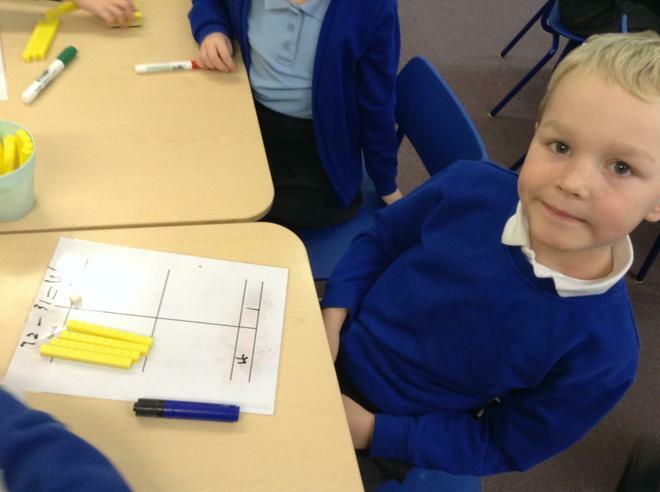 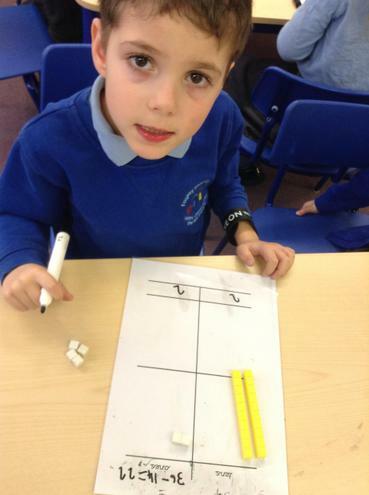 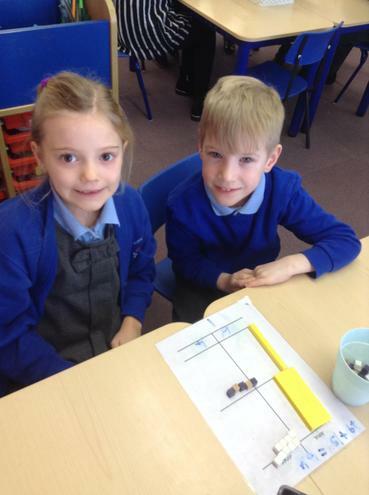 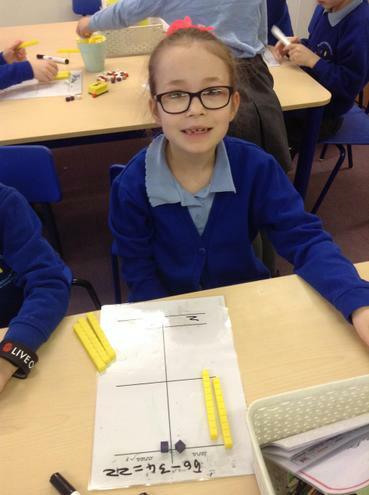 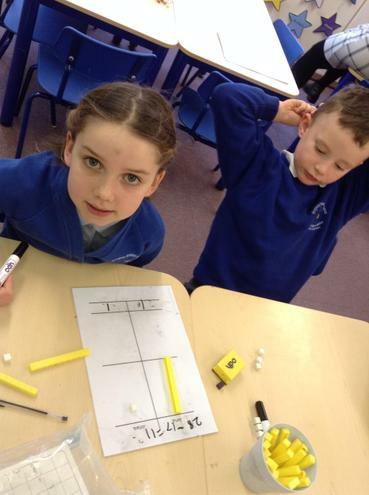 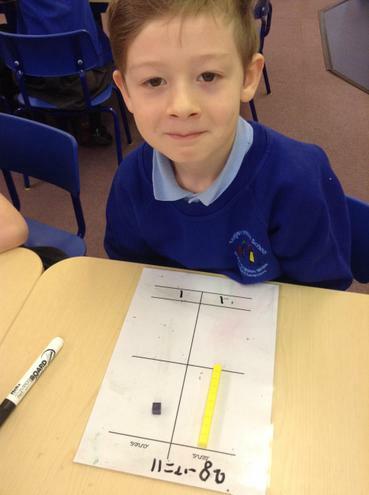 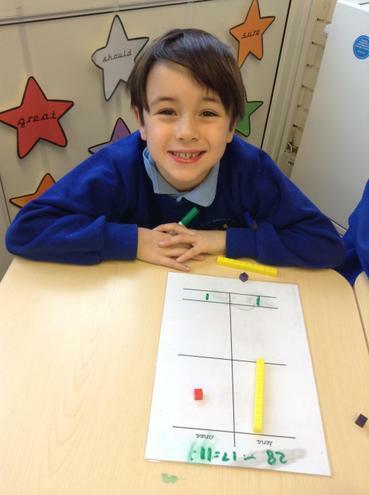 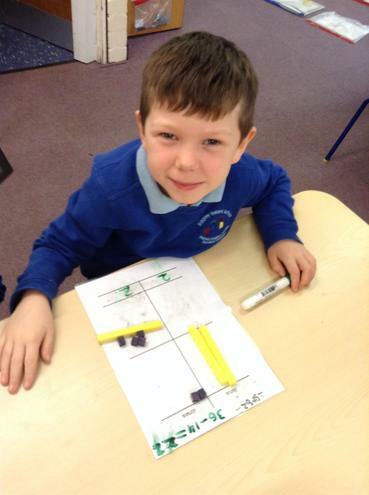 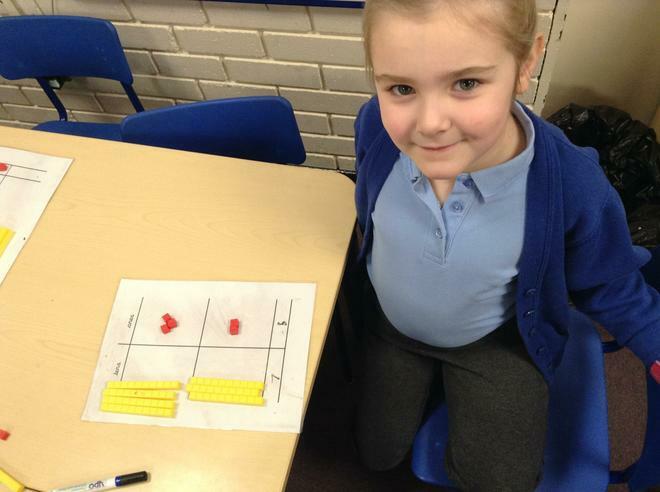 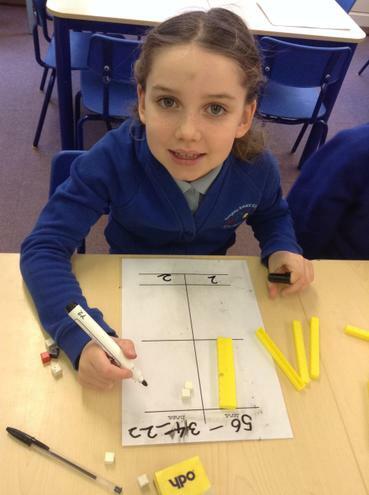 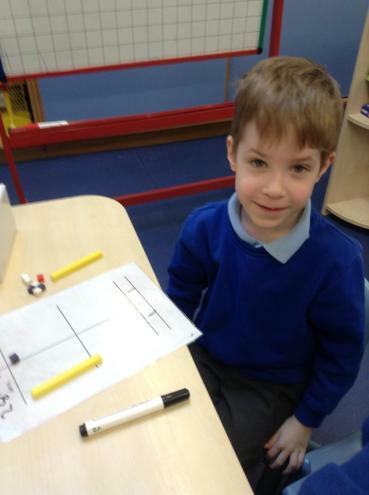 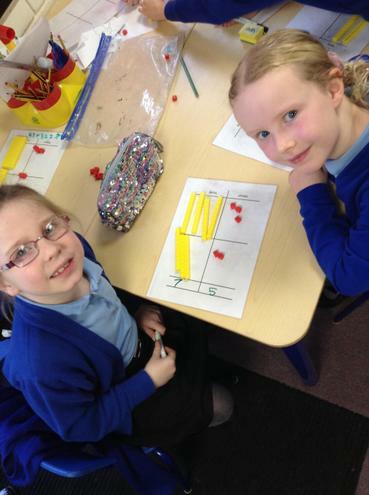 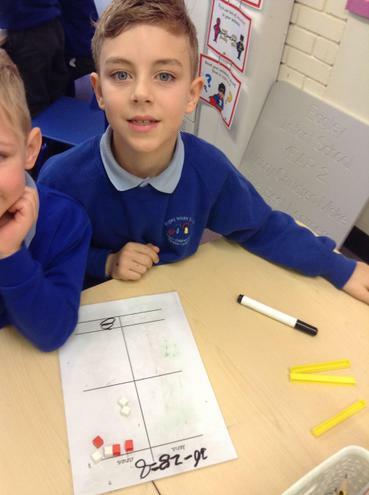 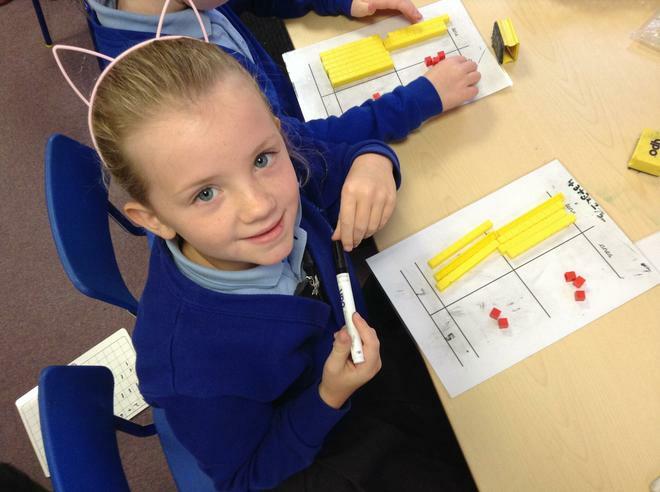 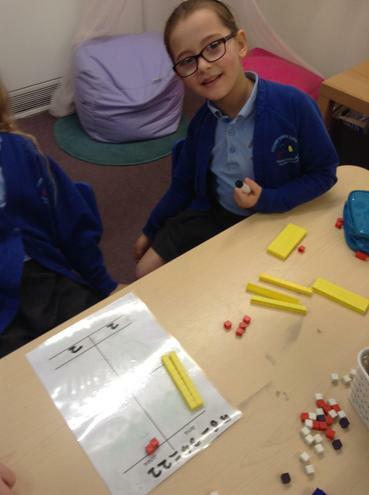 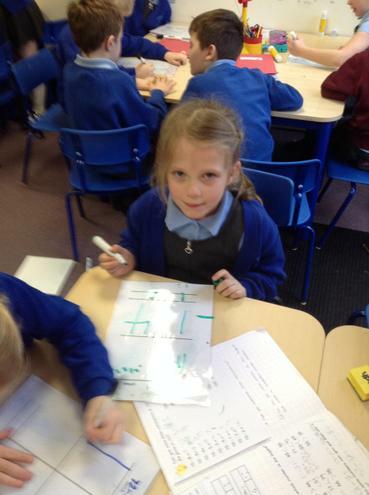 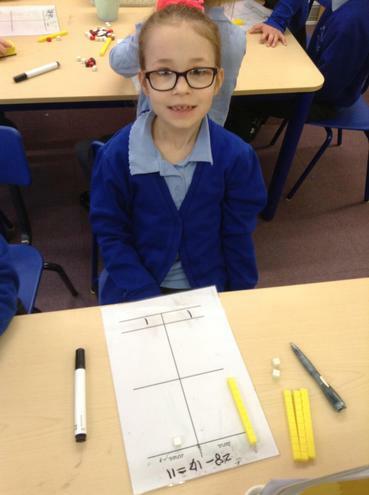 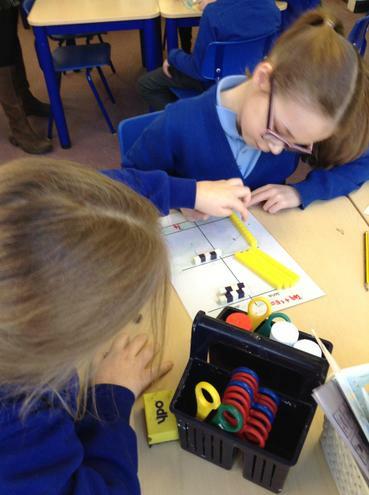 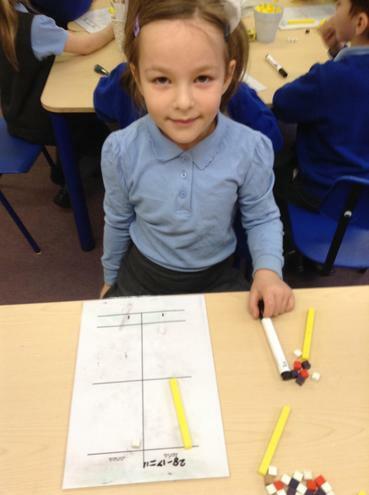 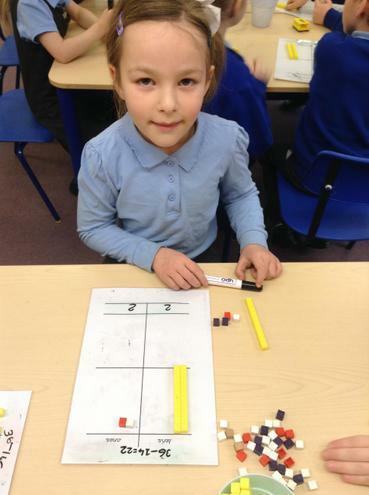 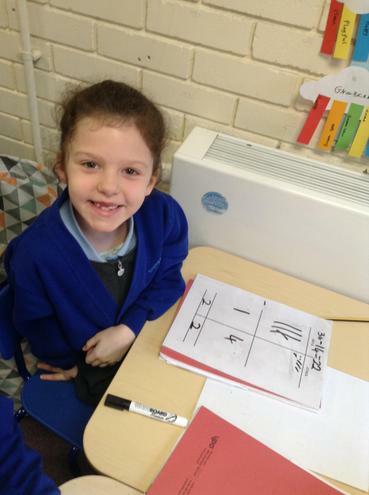 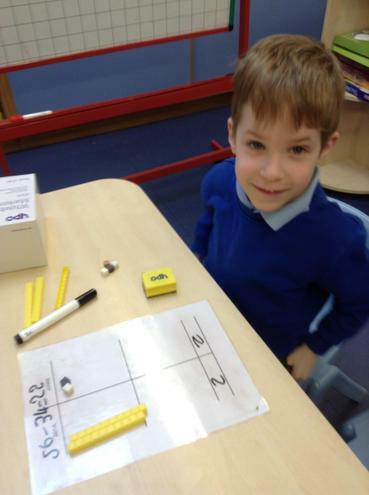 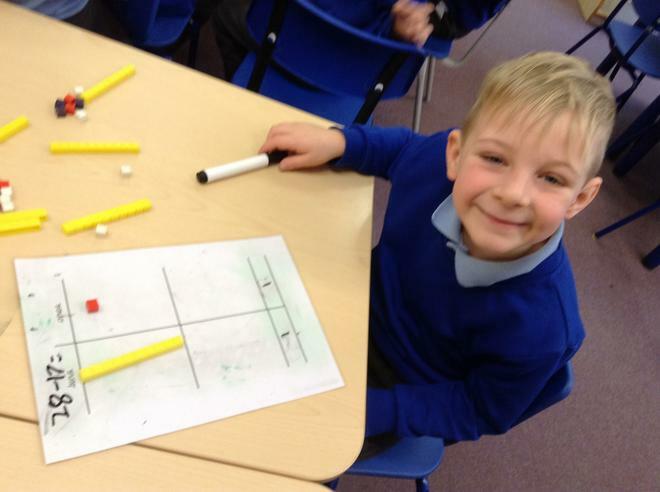 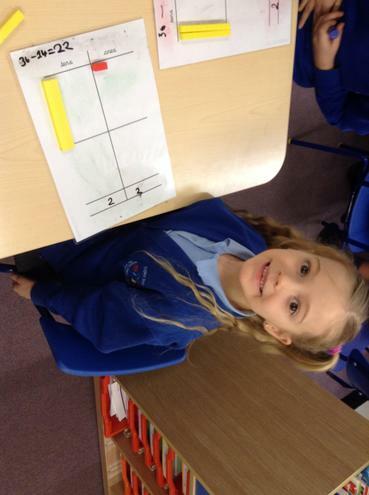 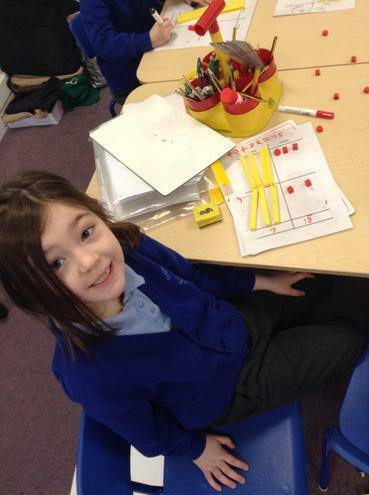 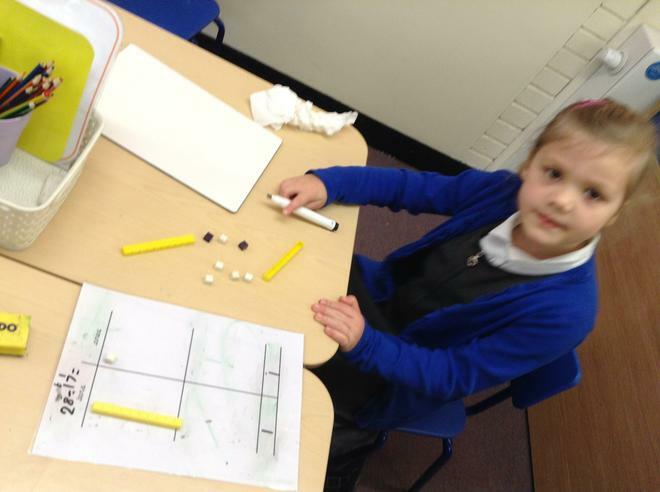 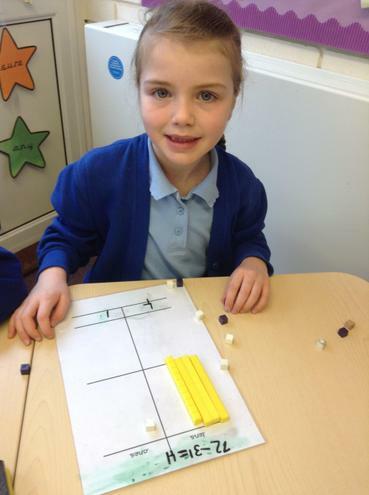 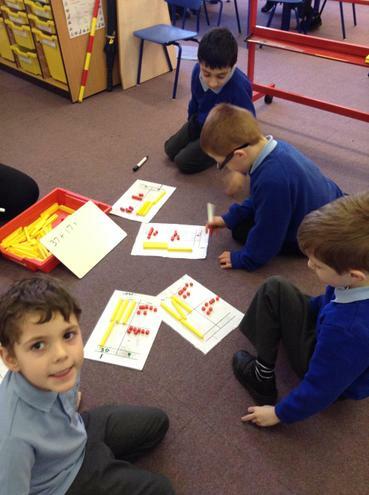 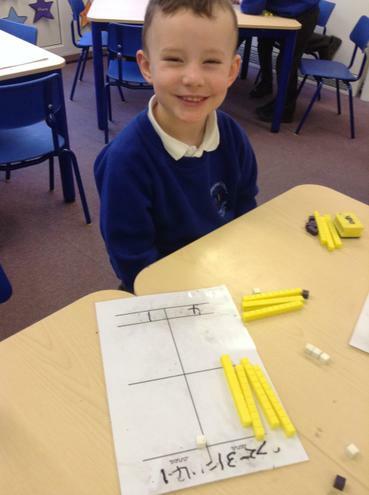 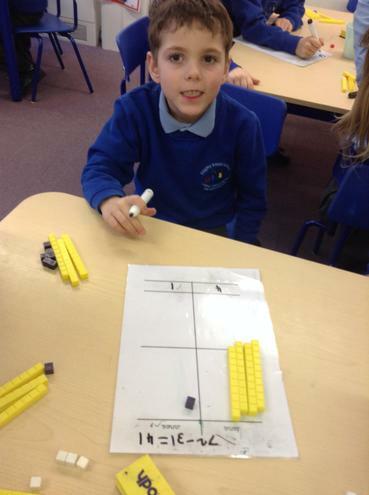 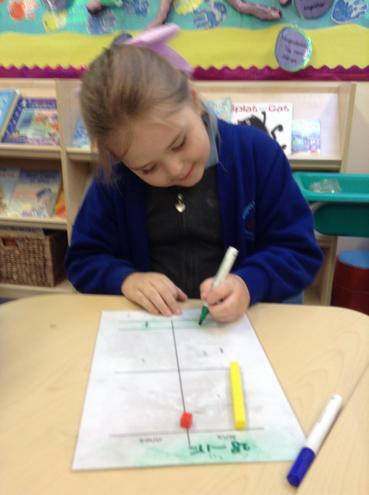 By the end of the week we had to move a ten in order to work out the subtraction questions. 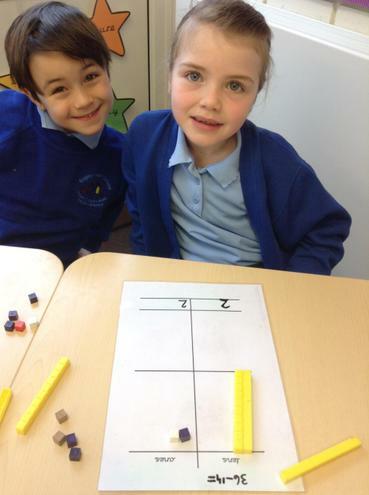 In the beginning we found this quite tricky but by the end of the week we were all very confident in doing this. 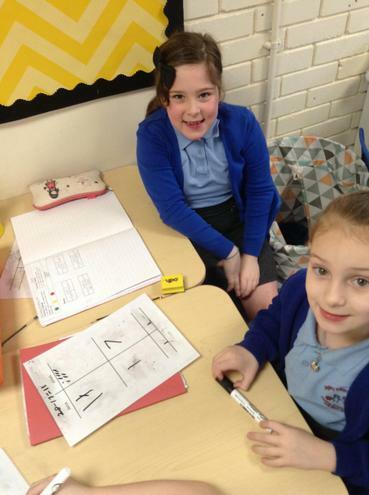 We finished the week by completing an arithmetic quiz. 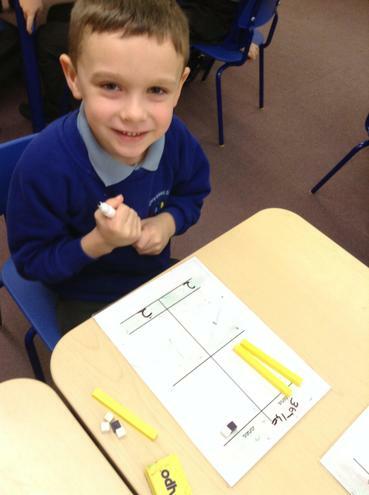 In English this week we have been doing some super learning all about contractions. 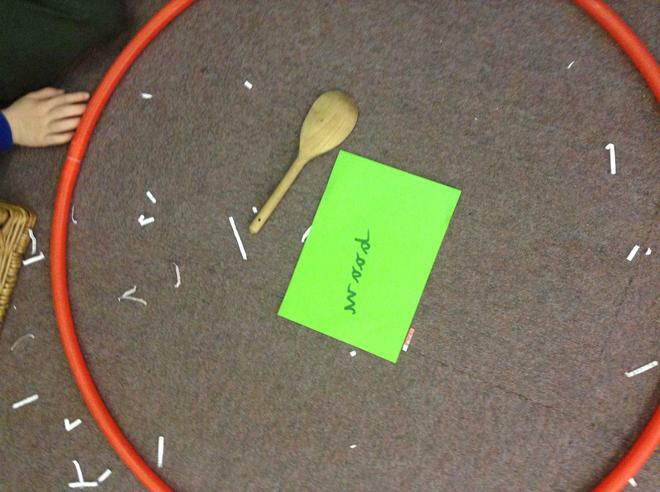 we already knew what an apostrophe was so we had a recap and then we looked at what it was used for in a contraction. 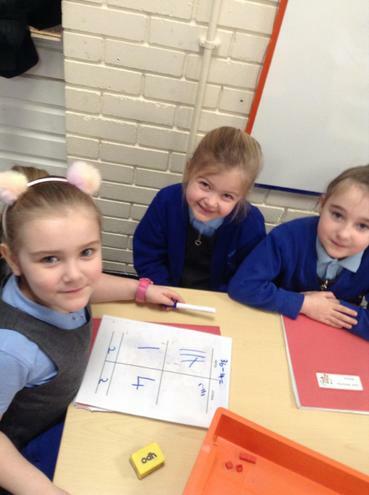 To start the week we looked at contractions with one missing letter like don't and by the end of the week we were looking at much more complicated contractions like won't. 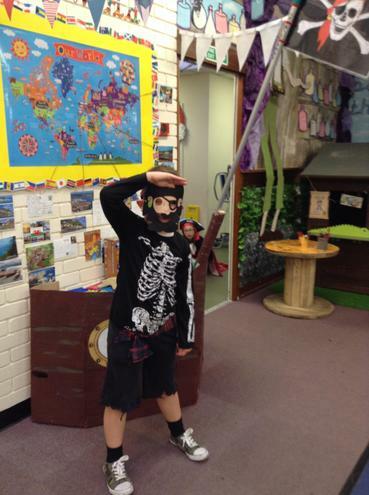 We continued our IPC unit of 'Treasure Island'. 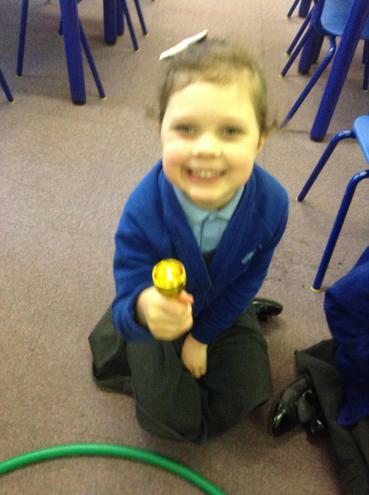 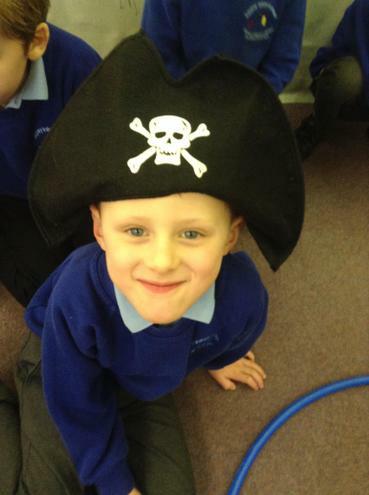 This week we were able to create our very own pirate coin. 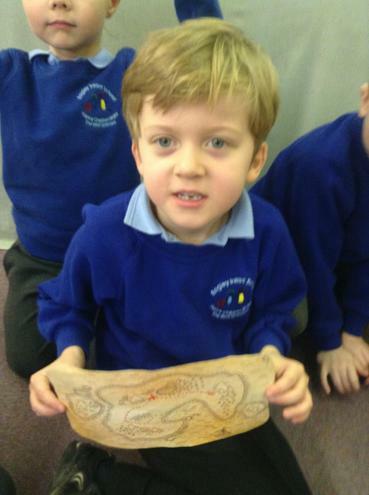 We engraved our design on to a polystyrene cut out. 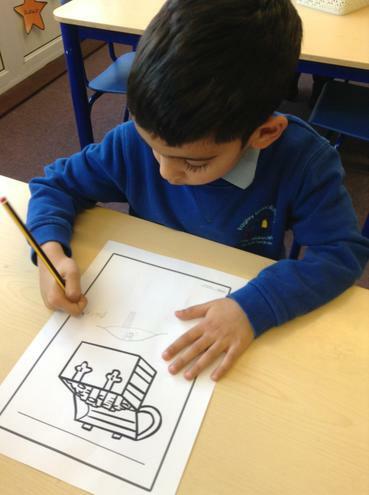 After we had done this we painted both sides and printed it on to card. 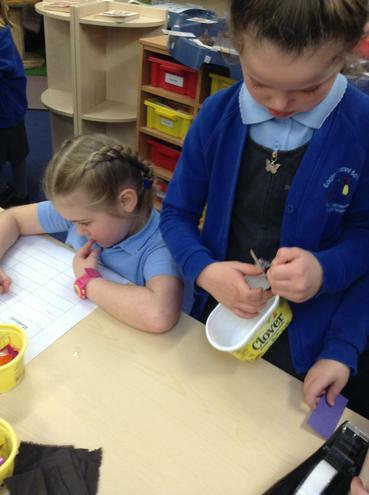 Once we had done our printing we had a look at our coins and then did an evaluation. 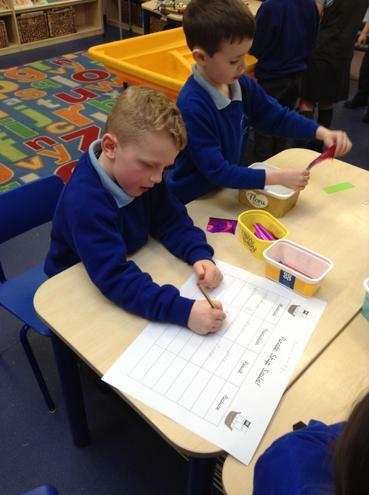 We evaluated what we liked about our coin and what would make it even better. 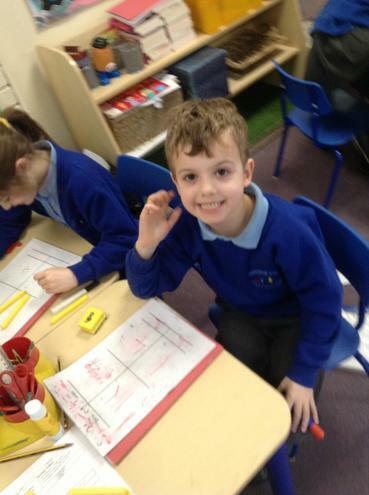 We have had a terrific week in Year 2. 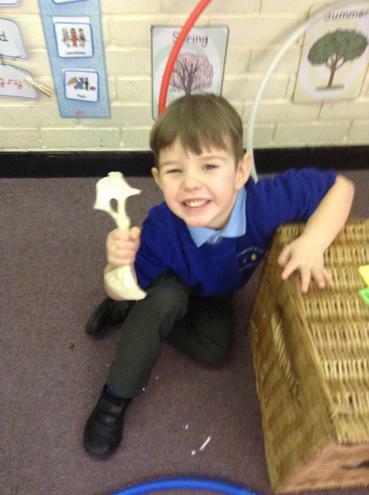 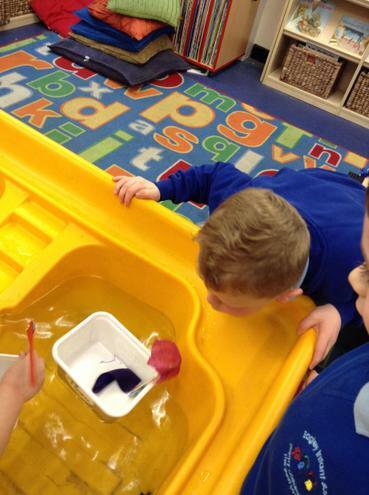 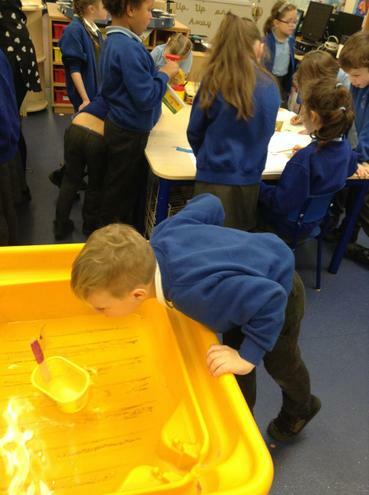 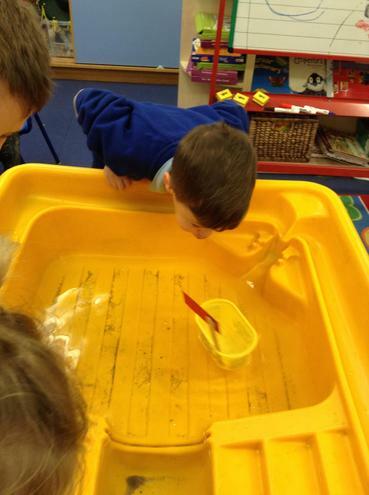 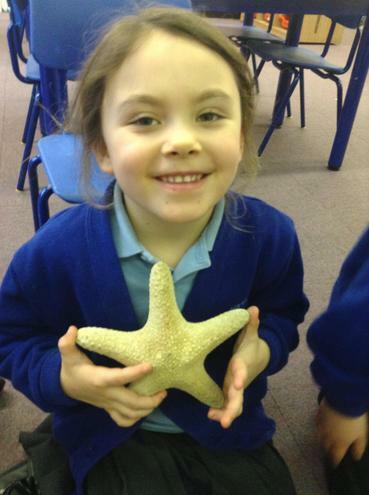 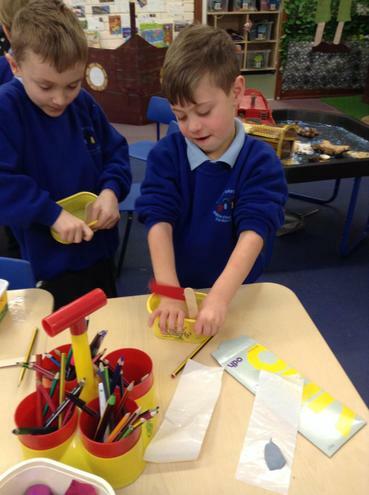 This week we have had a very special week because it has been Science week. 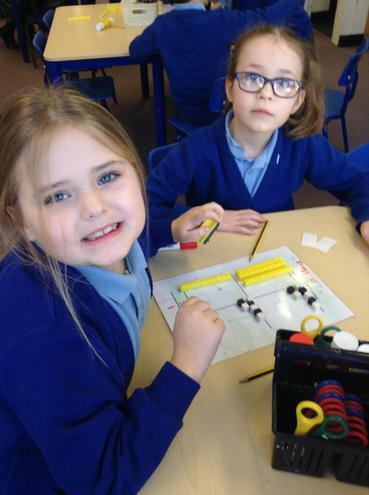 We have been doing lots and lots of Science in all the different year groups as well as doing our Maths, English, Reading and IPC! 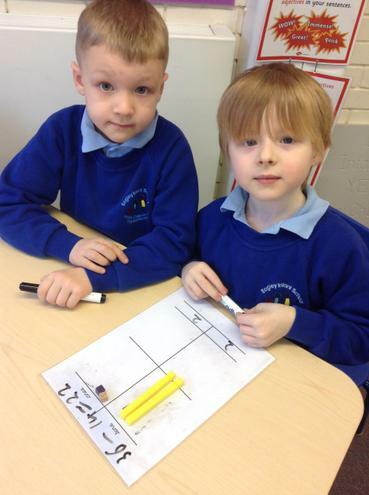 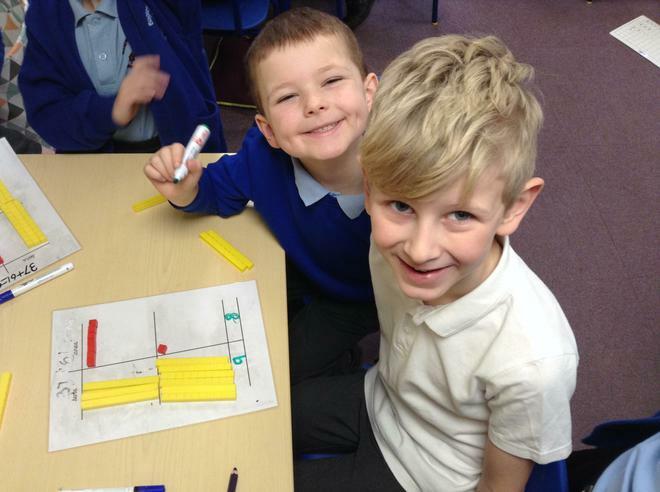 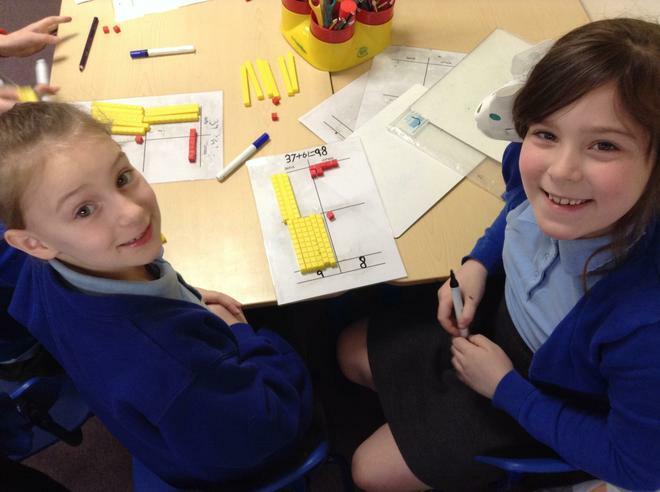 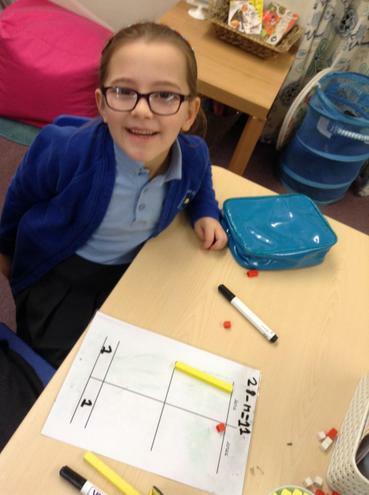 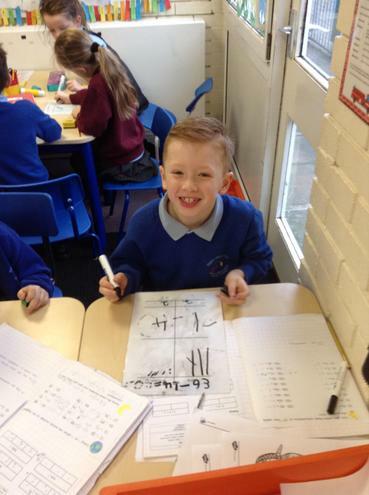 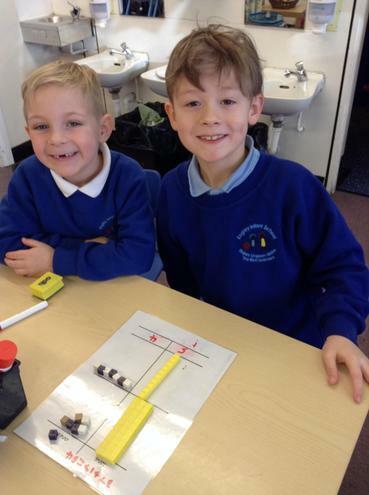 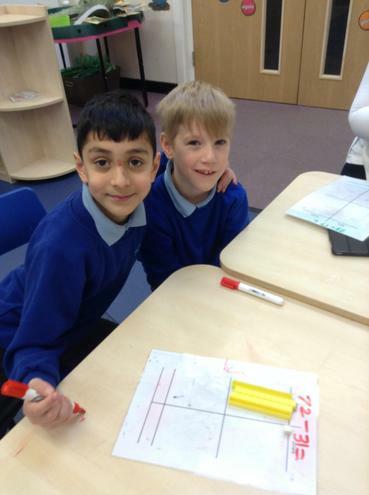 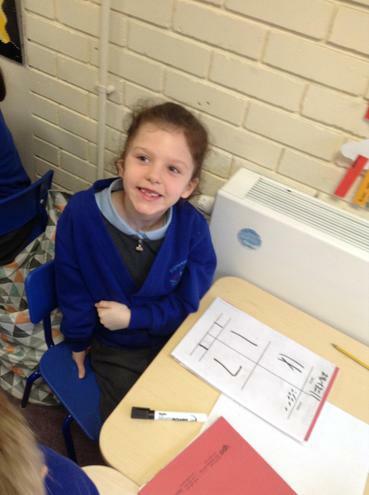 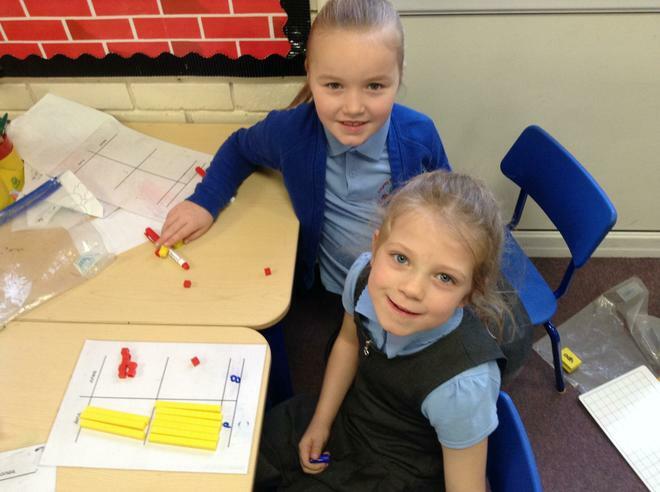 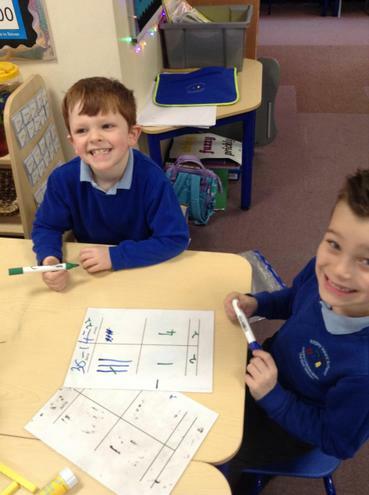 This week in Maths we have continued to look at adding two 2 digit numbers together. 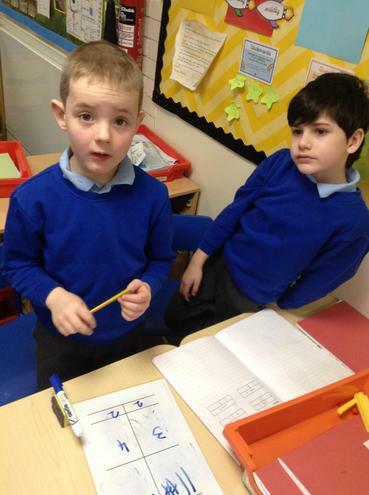 This week we have been focussing more on word problems and looking at what the question is asking us. 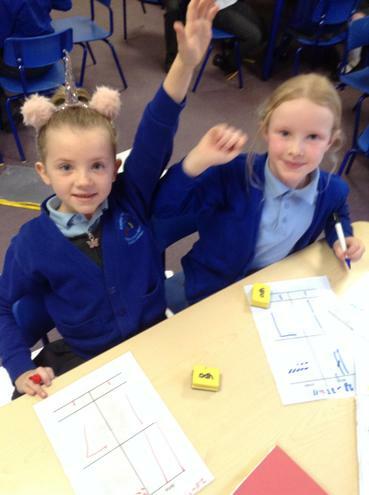 This is important as when we do our quizzes at the end of Year 2 as well as completing an arithmetic paper we also have to complete a reasoning paper which will have lots of word problems. 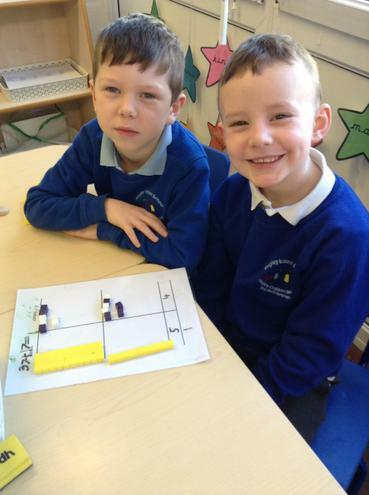 When we look at a word problem we break it don into easy steps and this helps us to solve the problems. 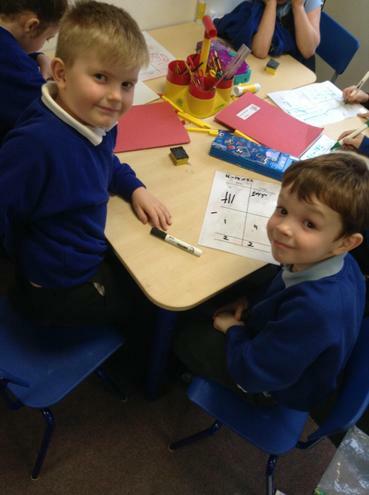 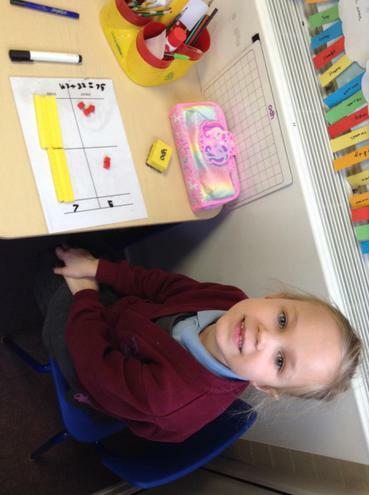 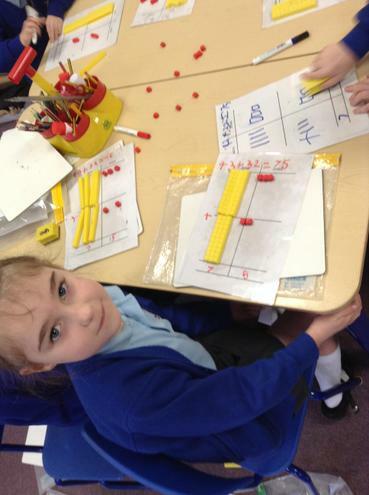 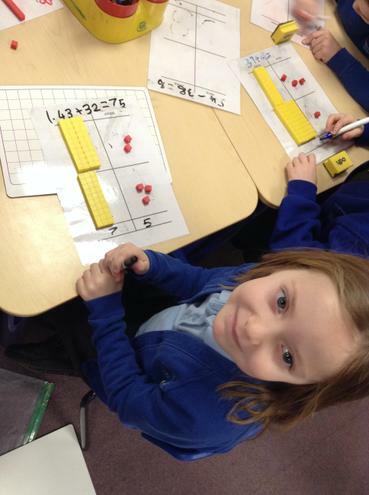 We have also been looking at some hundreds numbers this week as well as tens and ones. 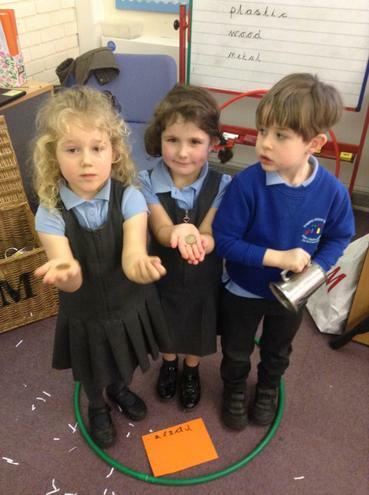 This will help us when we look at money again in a few weeks! 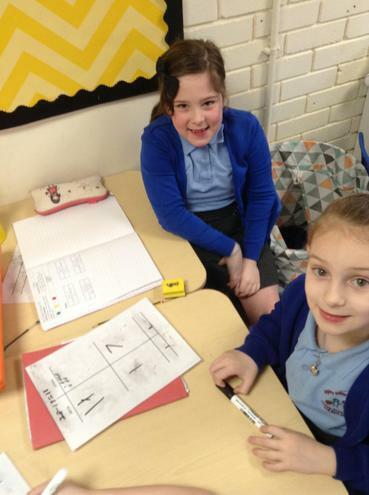 In English this week we have looked at the quiz which last years Year 2 completed. 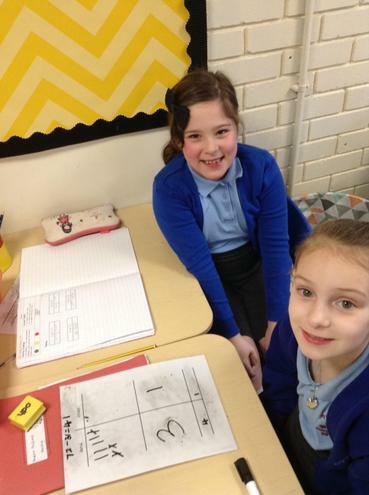 We took the quiz a page at a time and worked through it as best as we could. 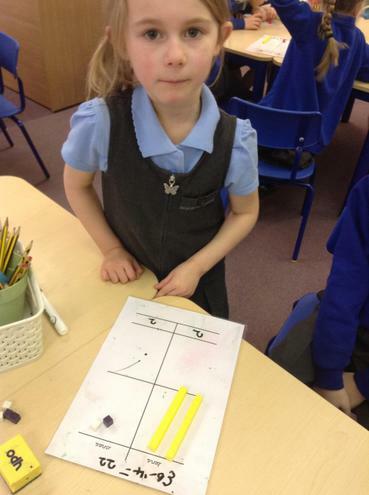 We then went through it with a teacher looking at where in the text the answer is as well as any other techniques to help us find the answer. 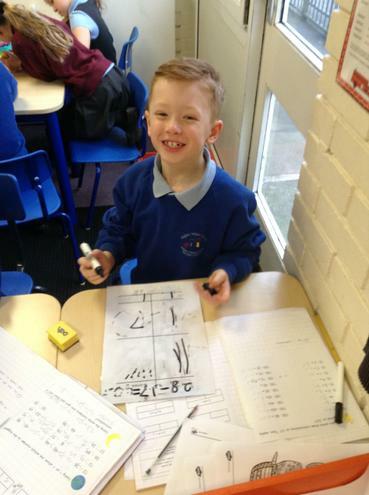 We all did really, really well and the teachers were pleased at just how well we did after only being in Year 2 for one term! 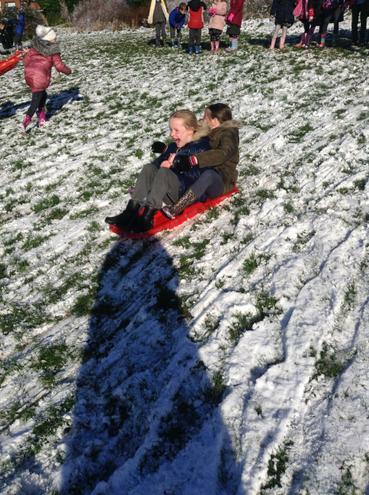 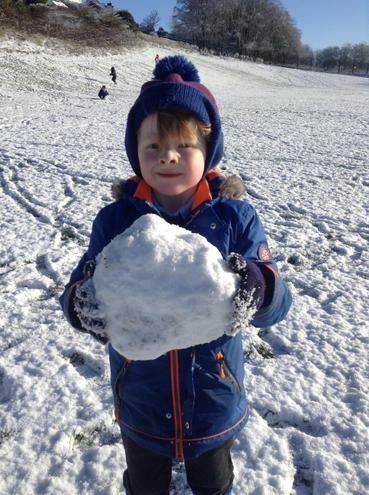 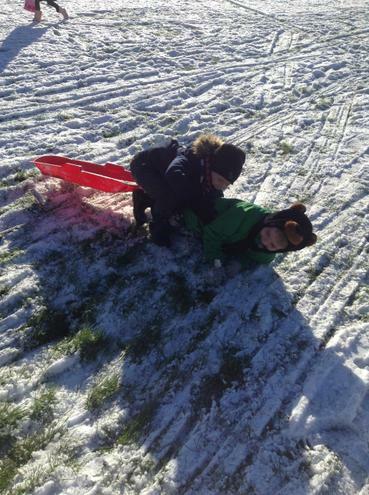 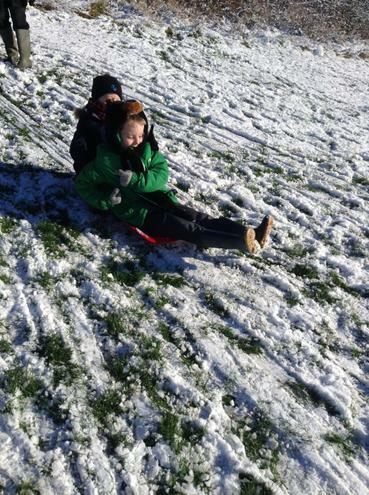 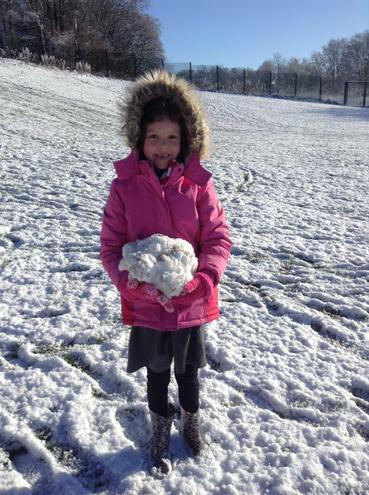 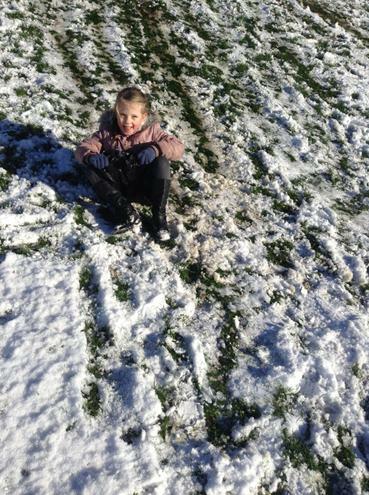 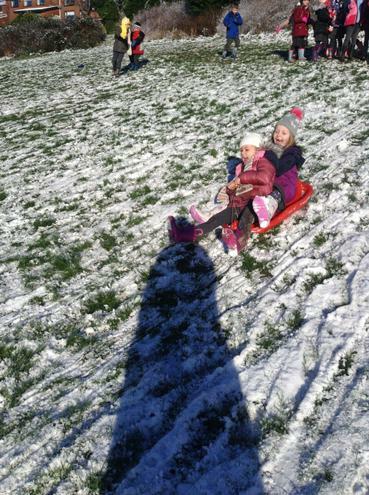 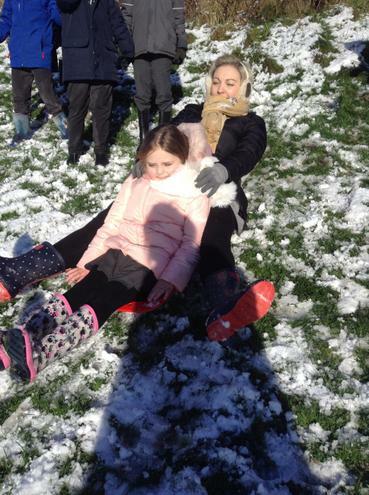 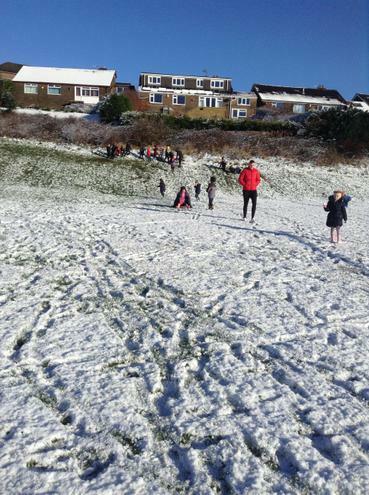 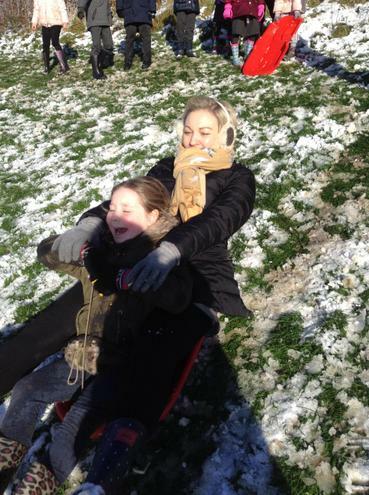 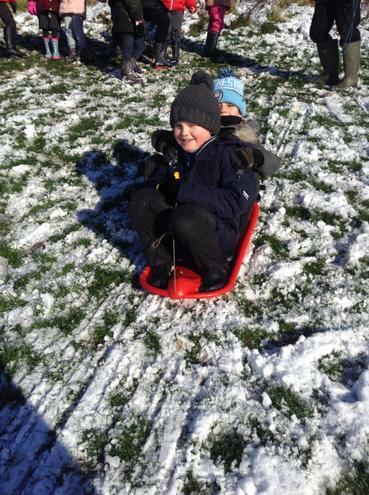 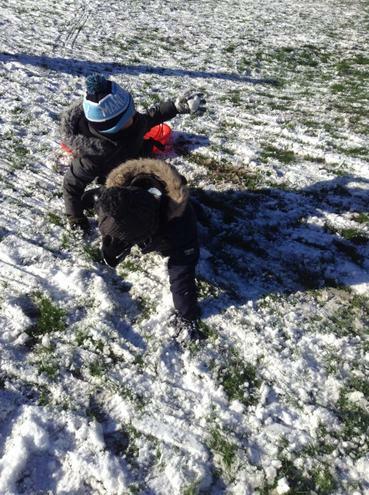 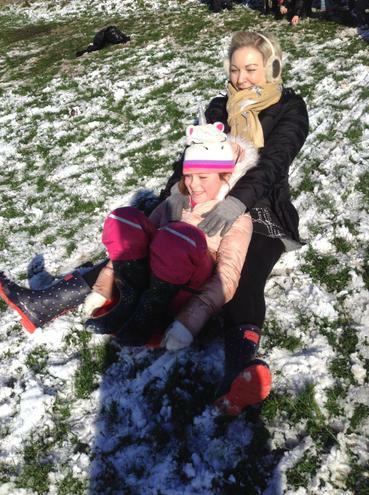 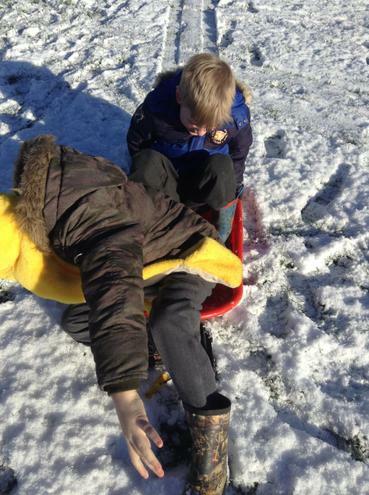 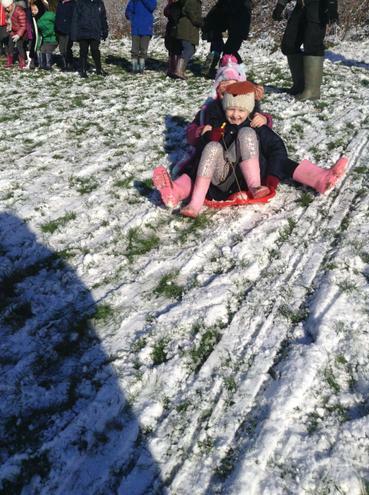 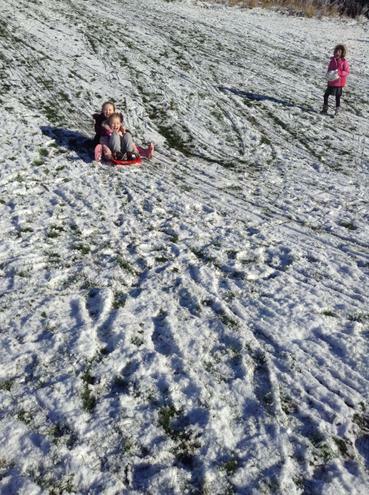 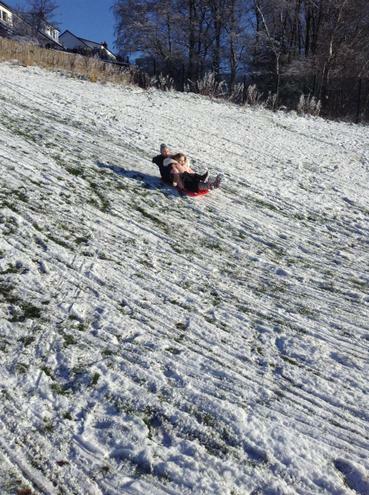 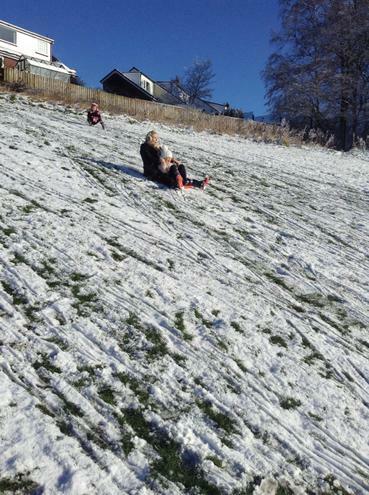 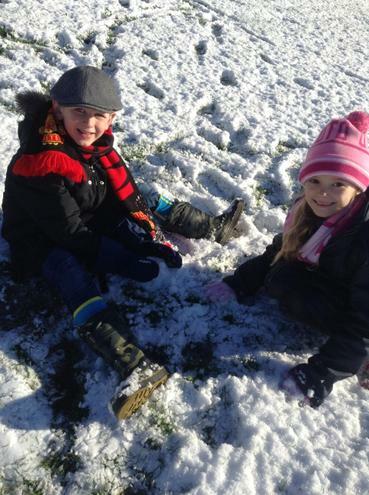 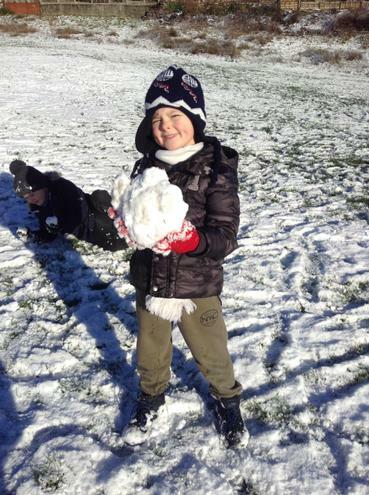 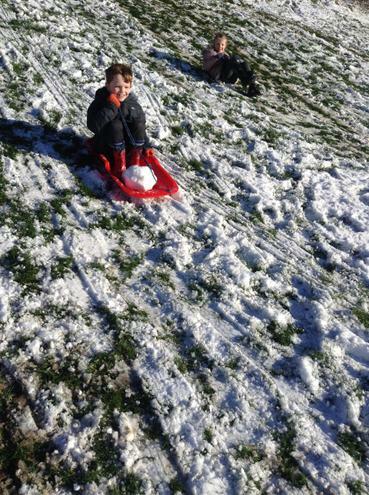 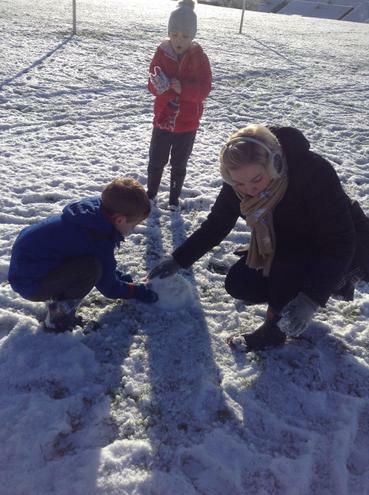 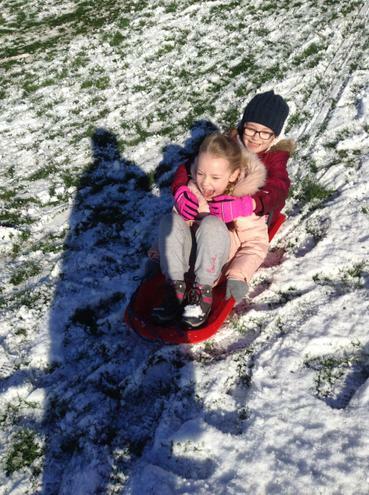 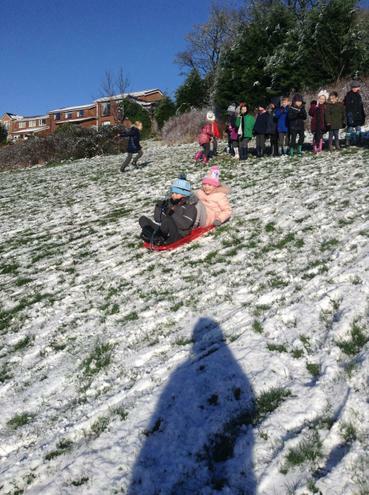 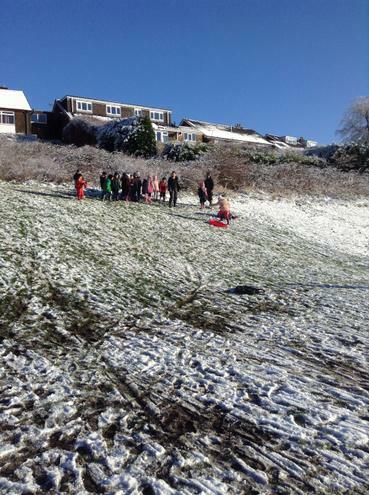 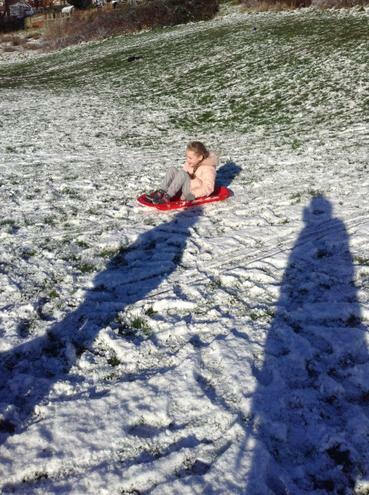 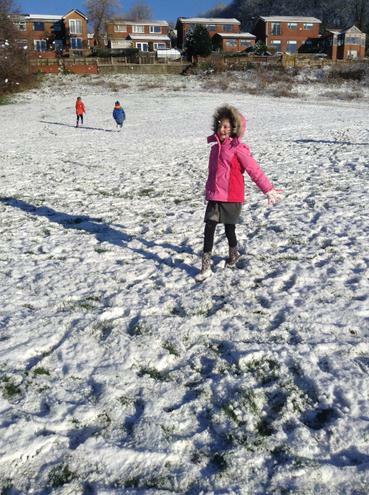 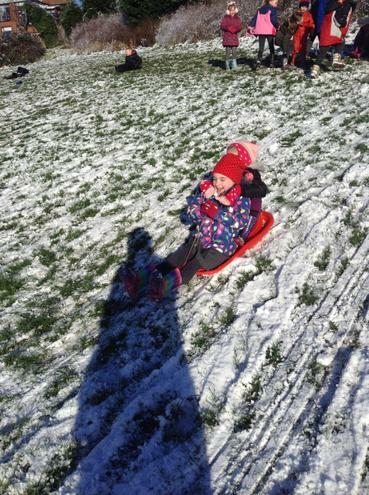 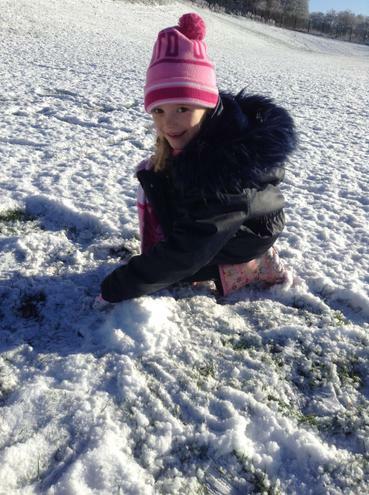 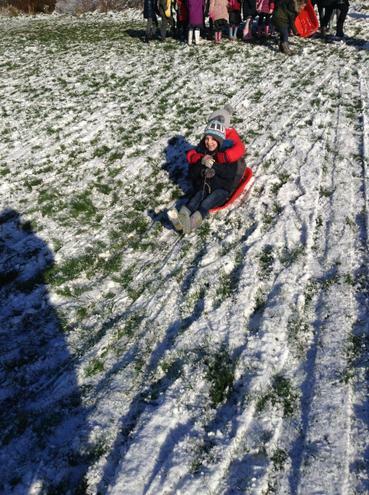 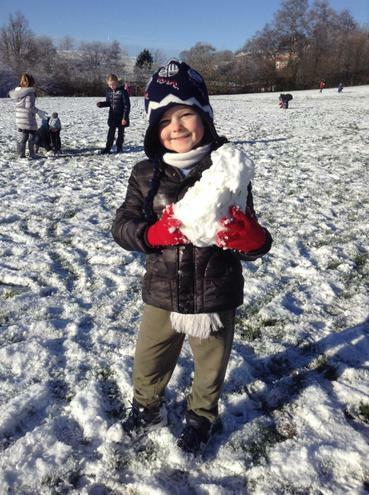 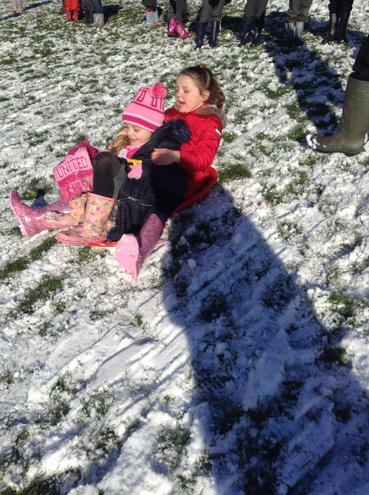 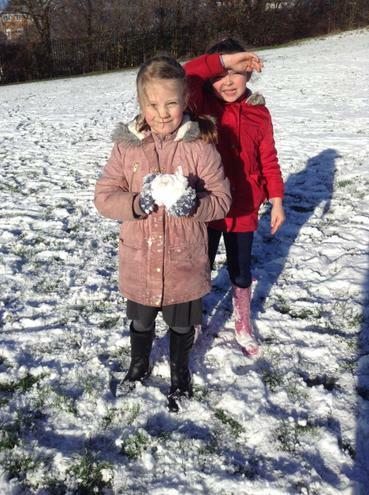 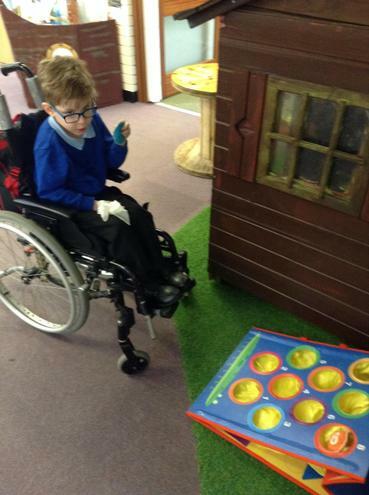 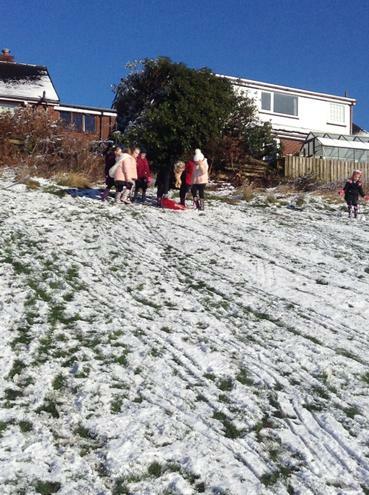 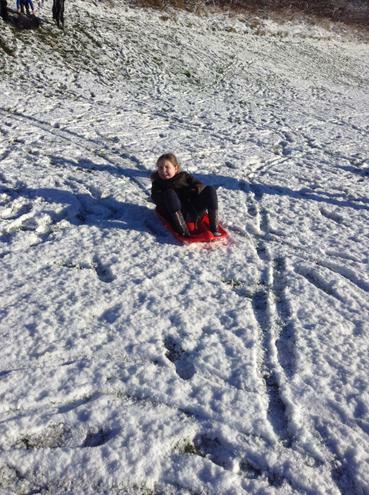 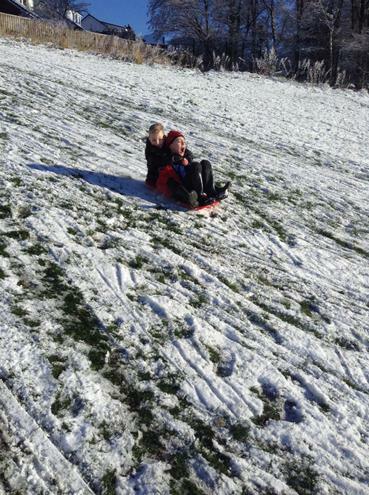 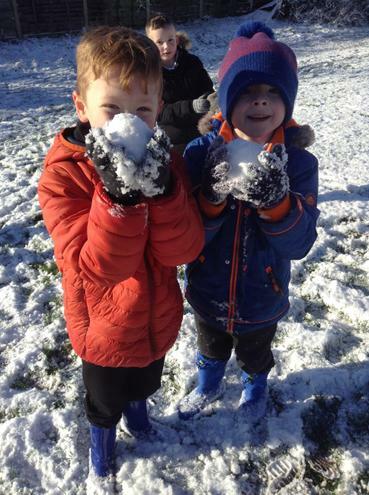 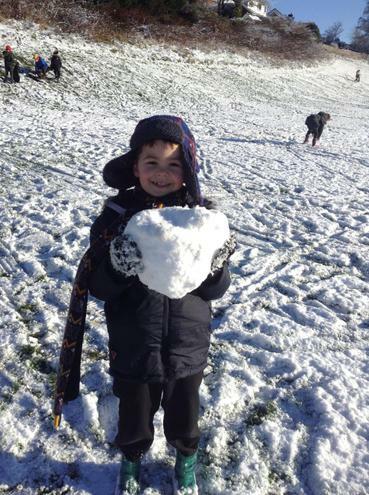 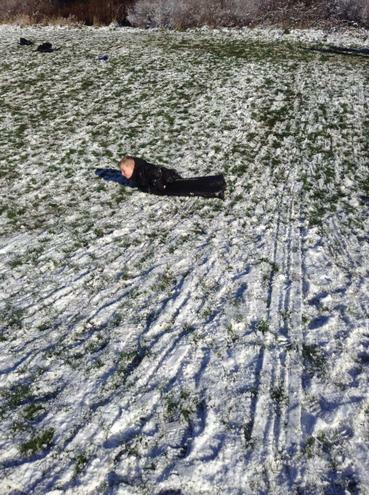 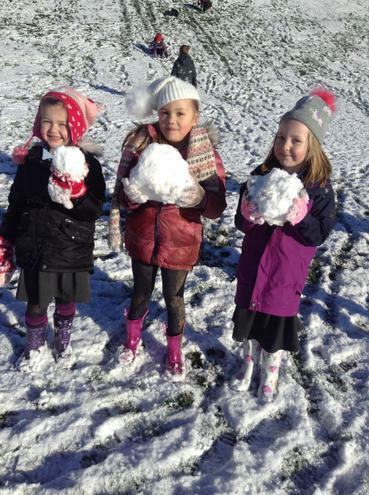 Our IPC learning this week has been slightly disrupted by having lots of fun in the snow! 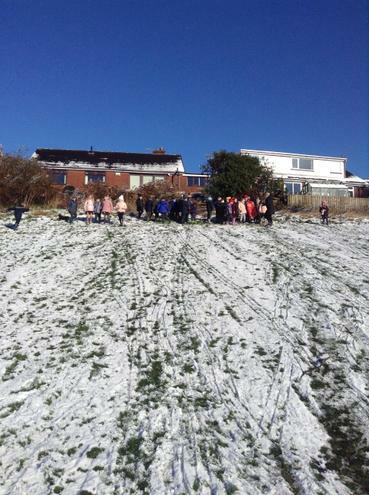 However one of our Science learning tasks is to explore seasonal changes so we have all managed that this week! 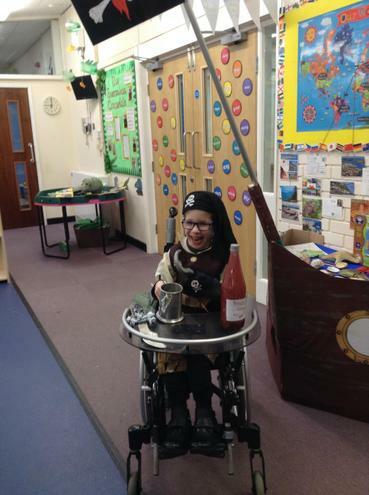 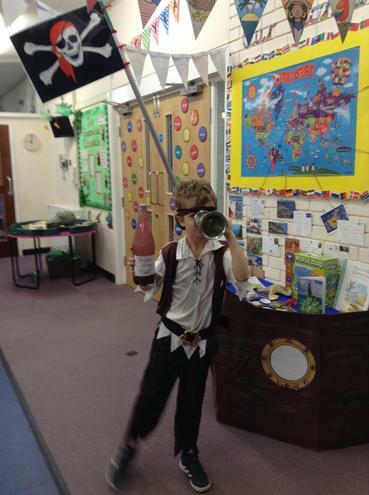 In IPC we have continued to look at Pirates and have looked at some of the different foods that Pirates eat. 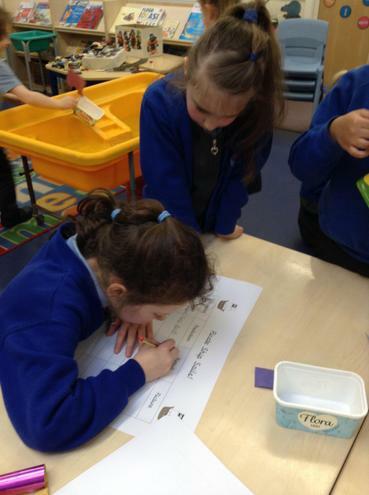 We then thought about the different food that we eat and whether or not we thought it was all grown in England or not. 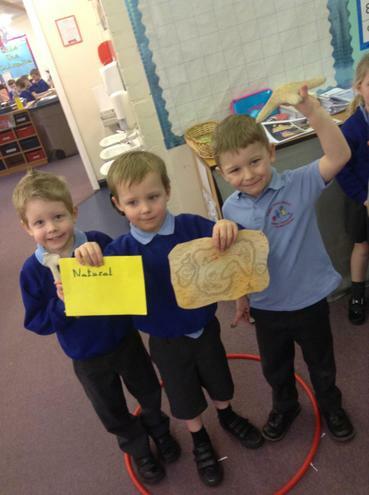 We decided England wasn't warm enough to grow all food so we then investigated which countries different food comes from. 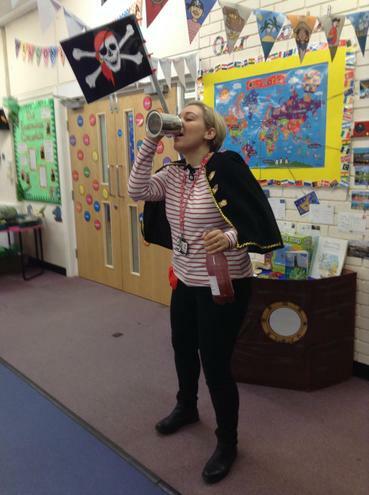 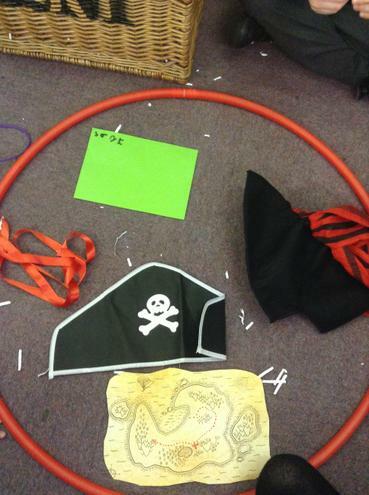 We then furthered our learning in the next lesson where we thought about how Pirates used to pay for things. 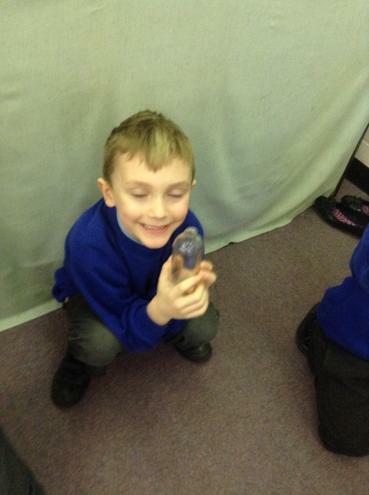 We looked at some traditional pirate coins and learnt that they called them 'Pieces of eight'. 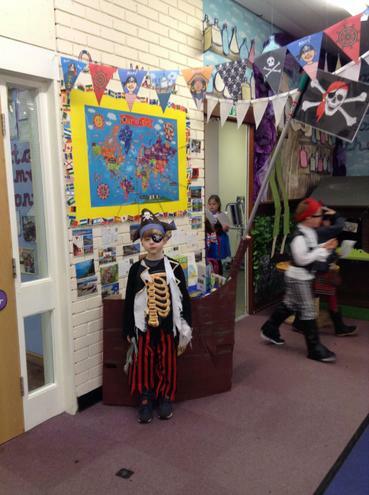 After this we all designed our own pirate coin for us to make next week and pay for some pirate treats with. 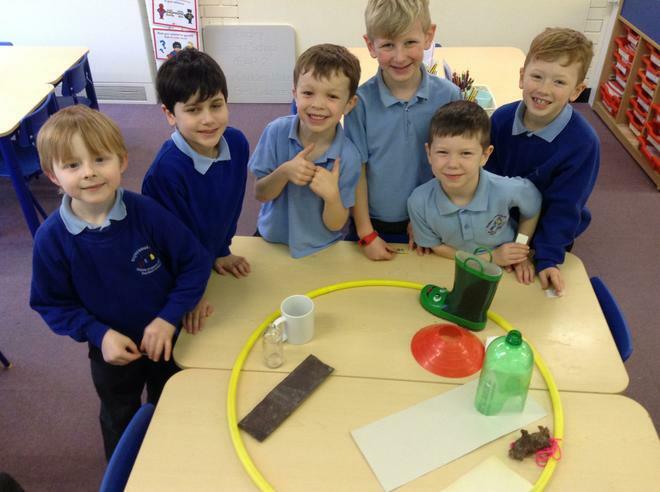 Science week has been lots of fun as the we have visited all the different year groups and teachers and this has enabled us to spend time with children from different year groups and look after the younger children. 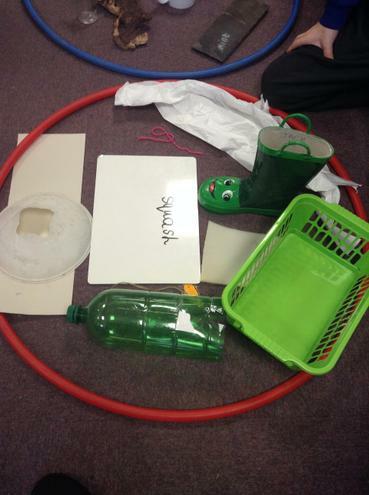 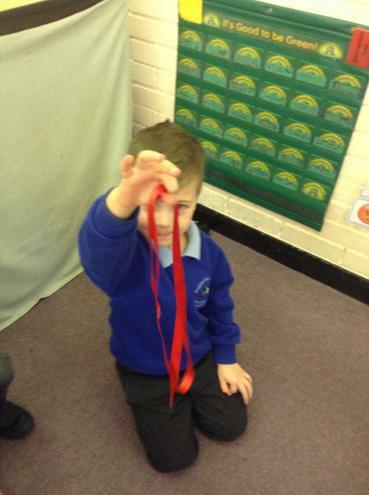 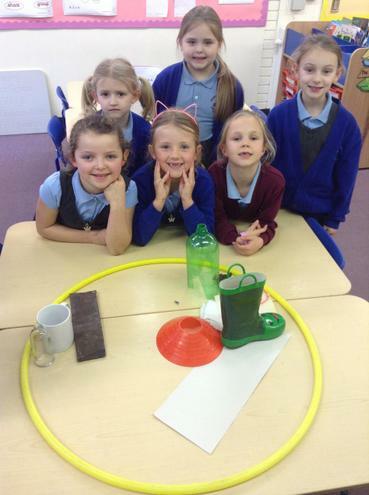 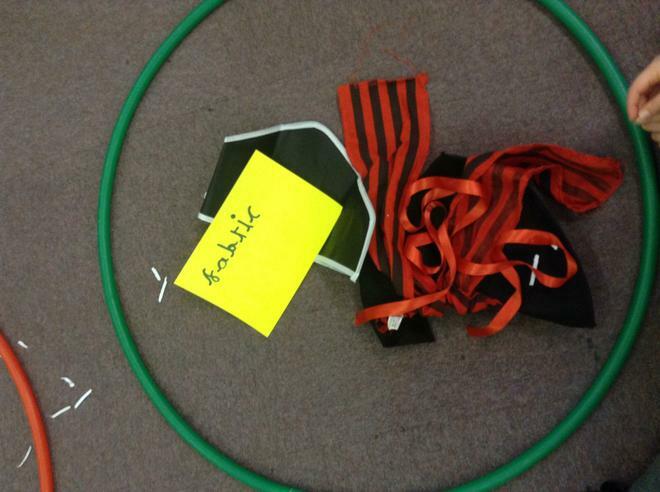 In year 2 we had some super fun activities to complete. 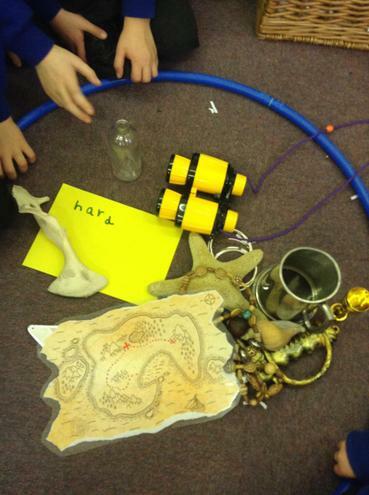 We found a treasure chest with lots of different treasure in it. 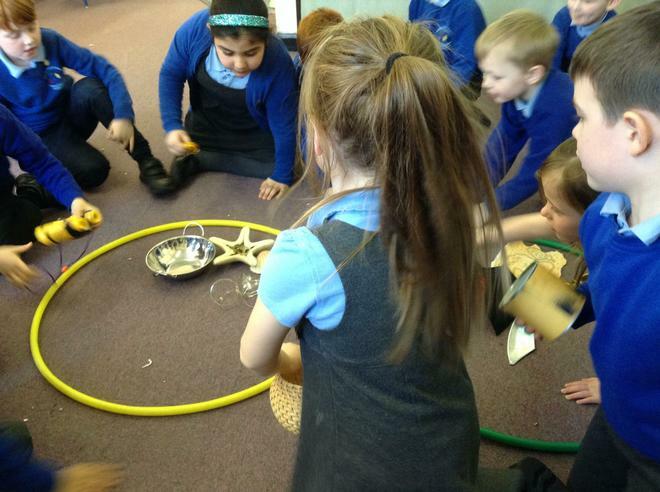 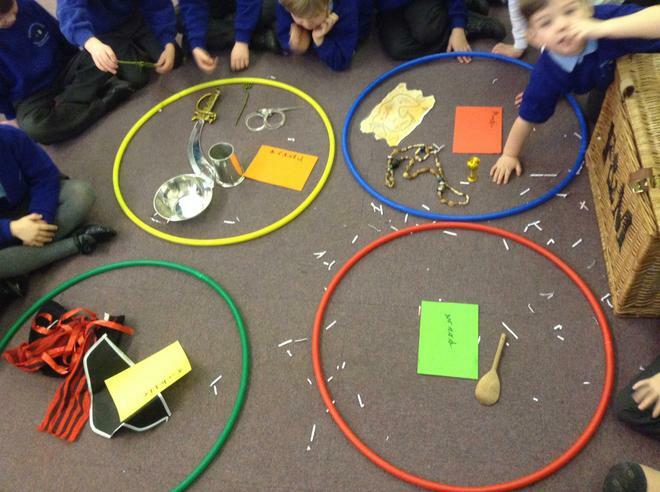 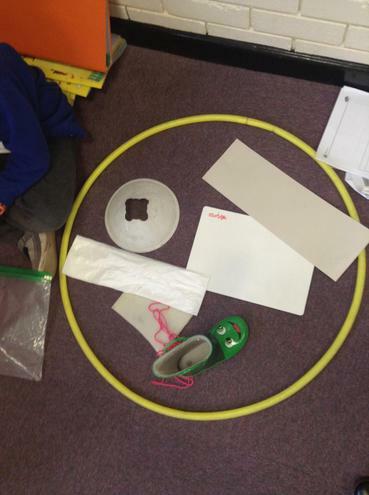 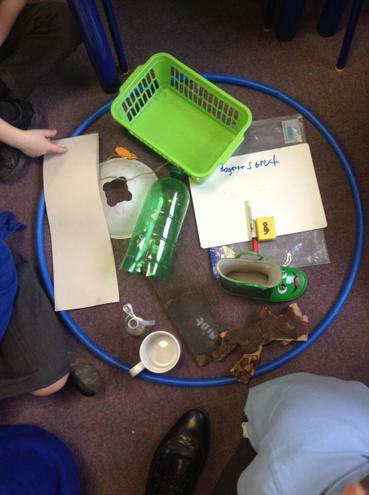 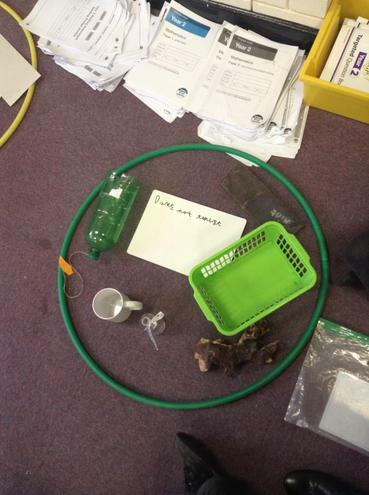 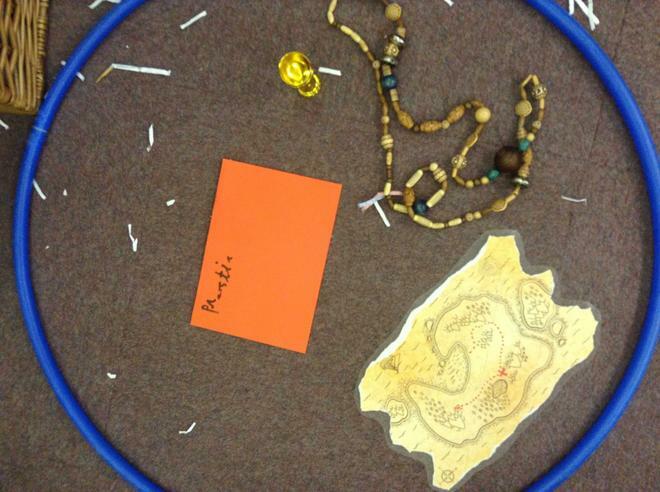 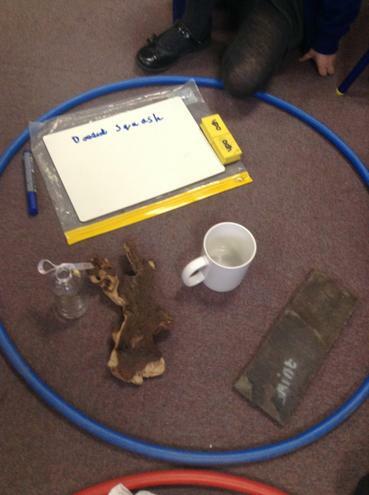 Once we found the treasure we decided to sort the different materials based on its properties. 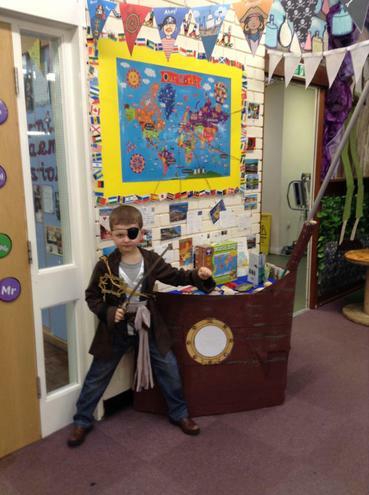 After this we had to makes a pirate ship. 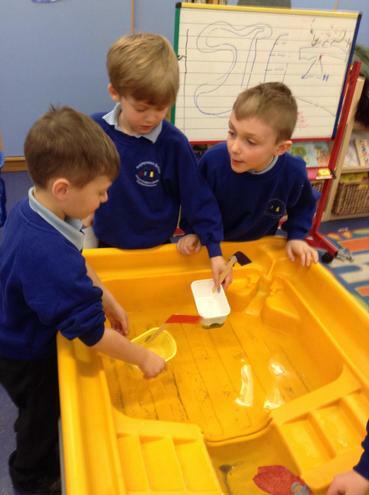 We made a ship which needed a sail. 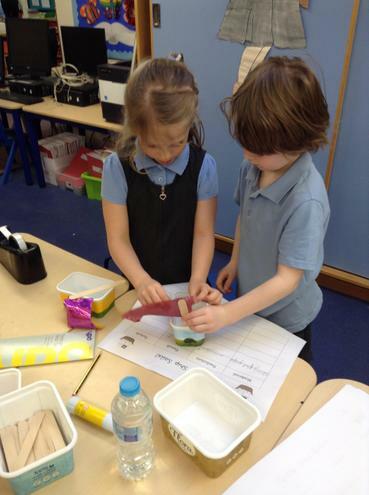 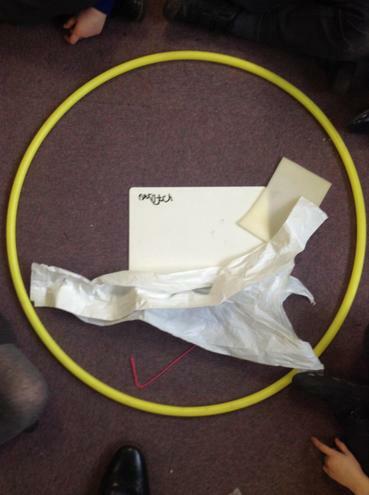 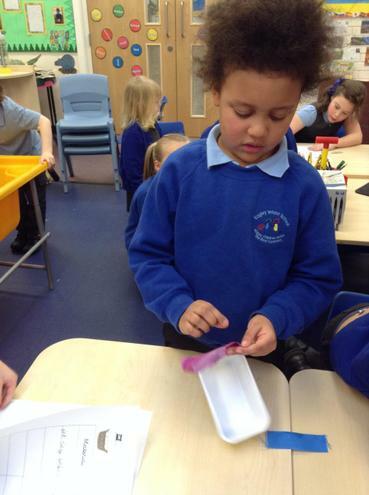 We had a choice of different materials and had to investigate which material would be the best to make the sail from. 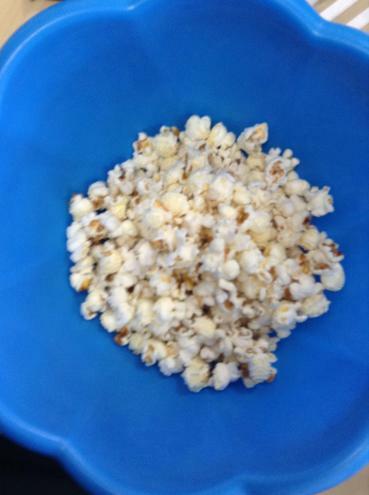 Our final activity in Year 2 was to make some Pirate Popcorn. 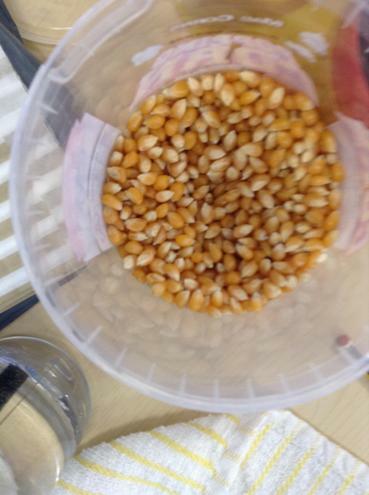 We observed the change which happens when you put the popcorn kernel onto the heat. 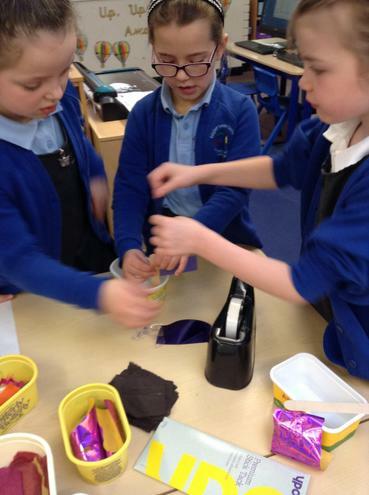 We even got to taste some! 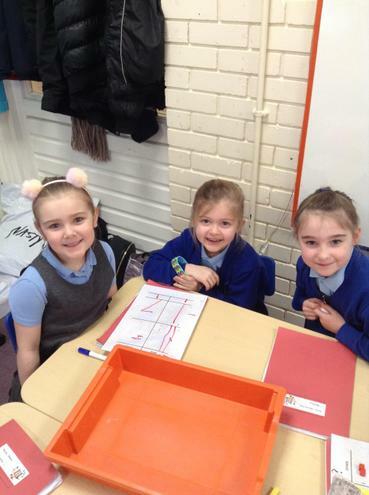 We have had a lovely week in Year 2 with the children doing super learning all week. 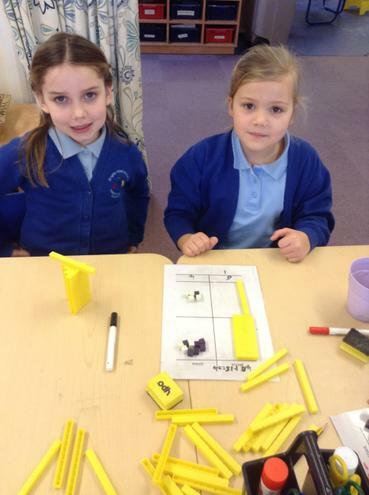 We have learnt so much and challenged ourselves. 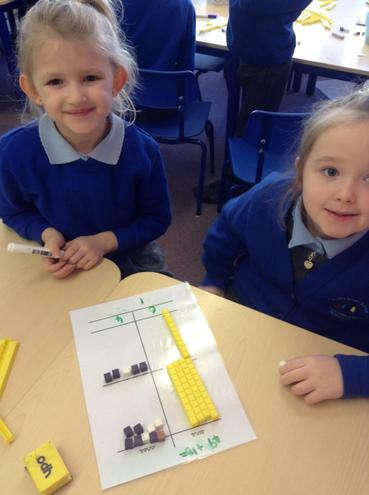 We have drawn this out using our tens and ones and made sure that we carry the extra ten over. 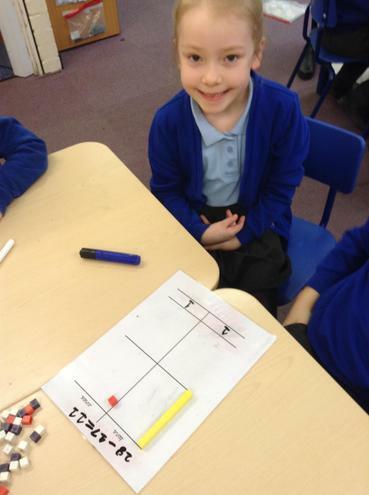 We found this tricky at first but by being resilient we managed to grasp this tricky concept. 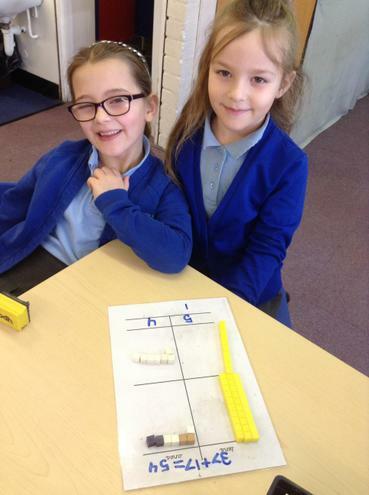 We have now been able to apply it to word problems! 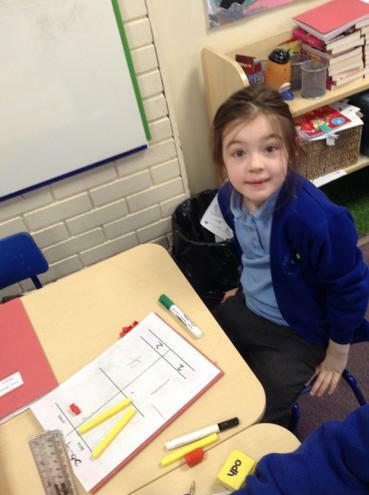 In English we have been looking at present and past tense! 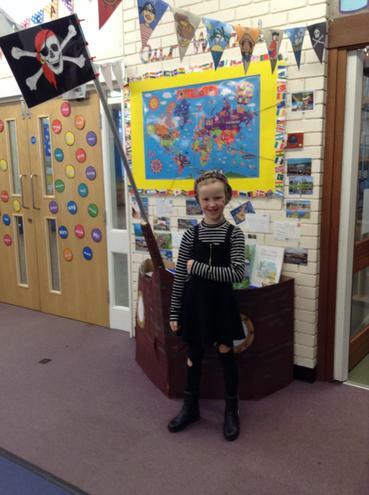 We have linked this to our pirate learning and written some terrific sentences. 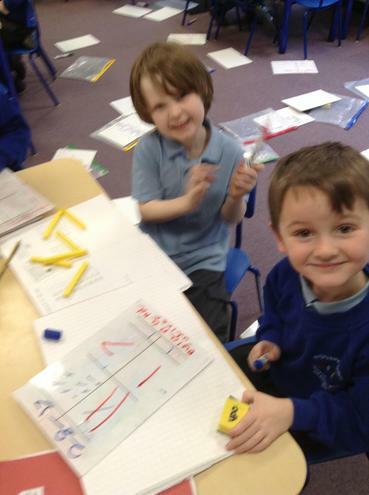 We looked at writing the same sentence in the present tense and the past tense. 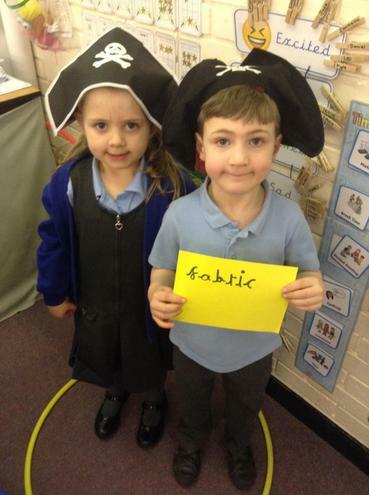 We thought of our own pirate sentence to do this and we did amazing at this. 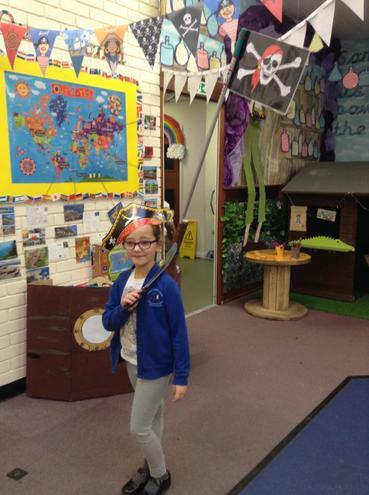 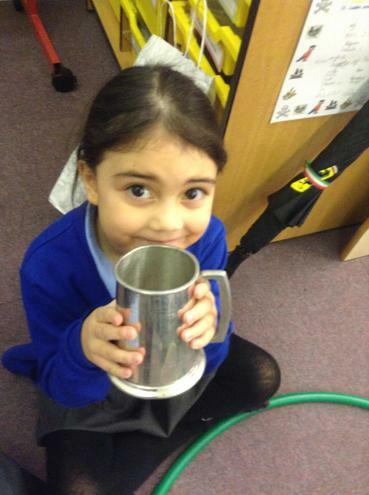 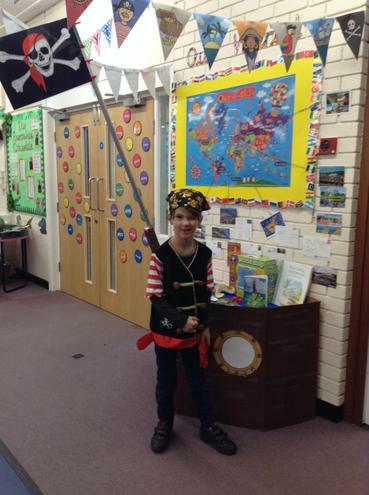 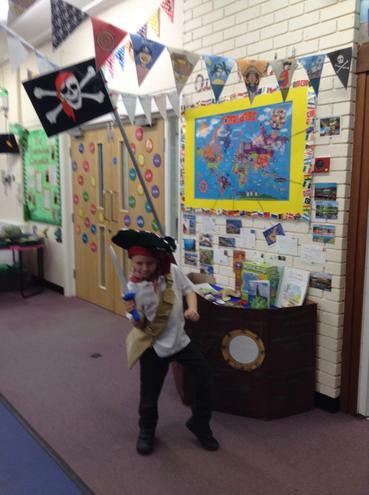 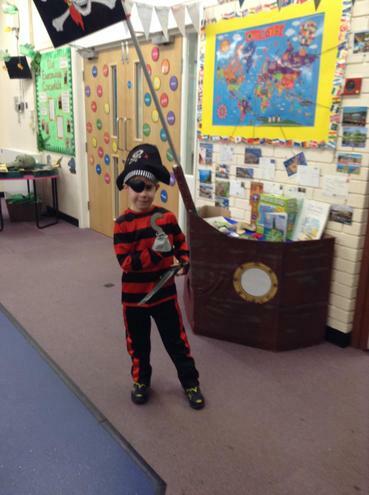 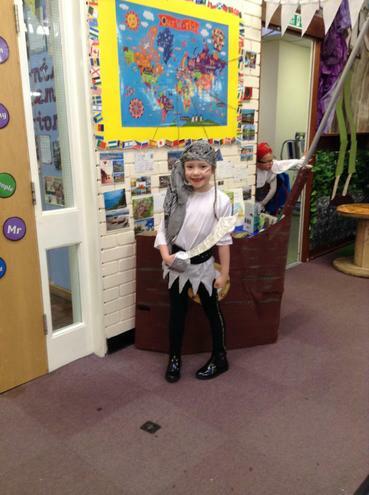 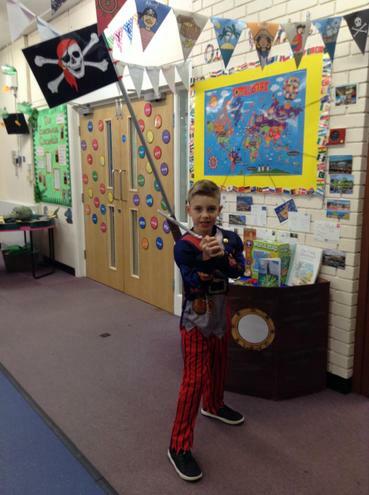 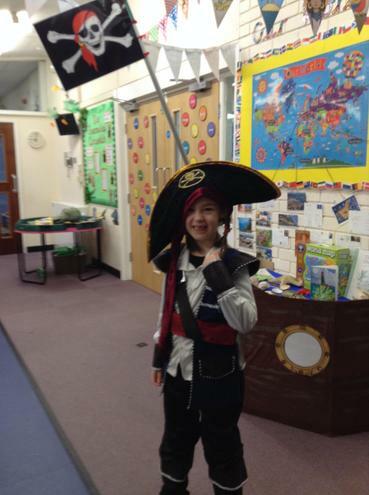 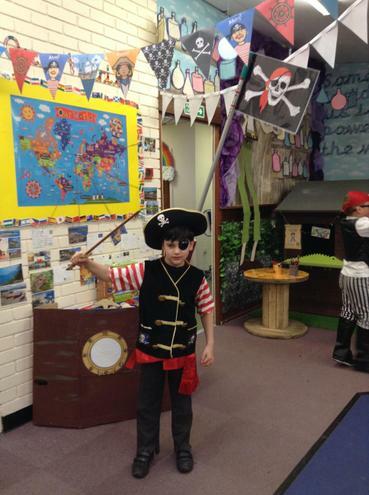 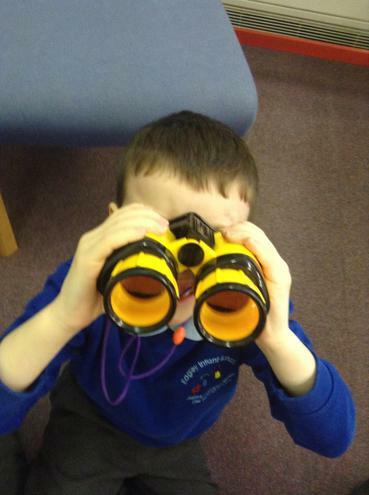 In IPC this term we are looking at pirates for our topic 'Treasure Island'. 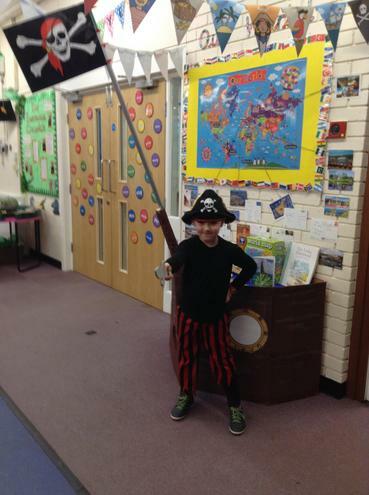 We have continued our pirate learning from last week by looking at the different roles which the pirates had on board their ships. 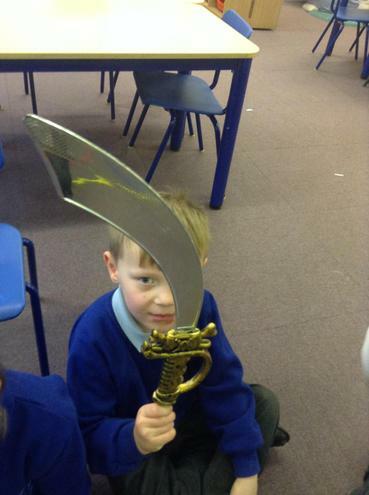 We looked at the Captain, Quartermaster, Powder Monkey and many more. 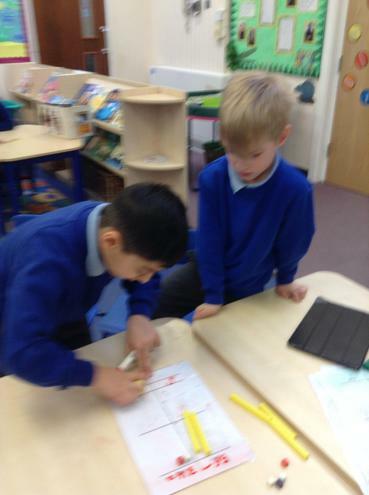 We looked at the different roles which we have in school and thought of a different way in which we could help around school. 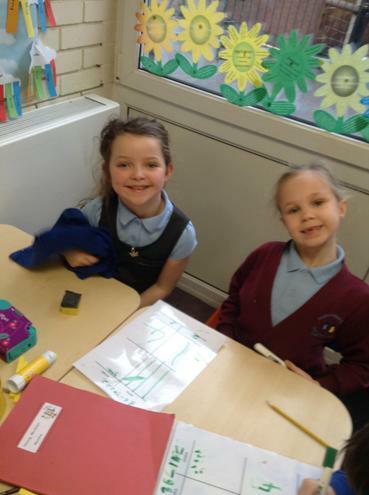 We came up with some lovely ideas such as... My role in school is to always be kind and caring to other people! 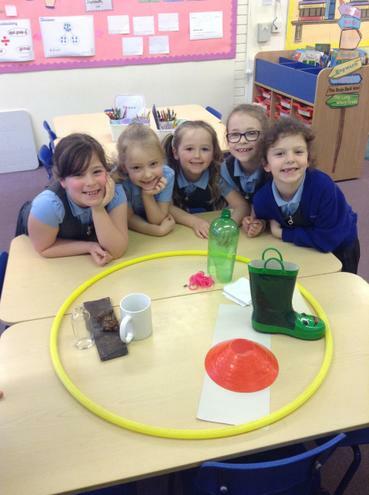 We look forward to seeing as many special people as possible at our Science week next week! 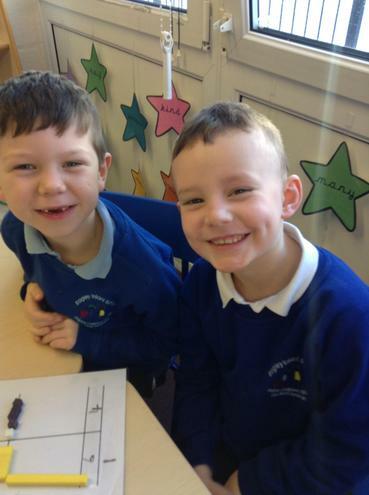 First of all we would like to wish everyone a happy New Year! 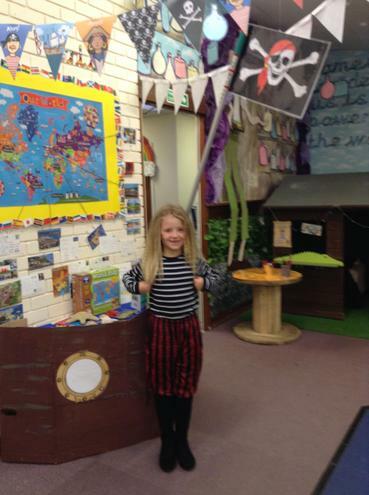 Apologies for not writing a website instalment for last week as the internet was down. 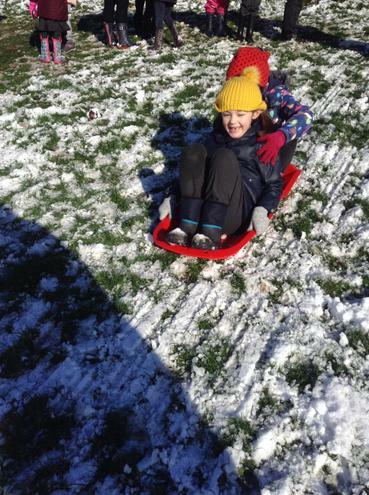 We have started where we left off before the holidays. 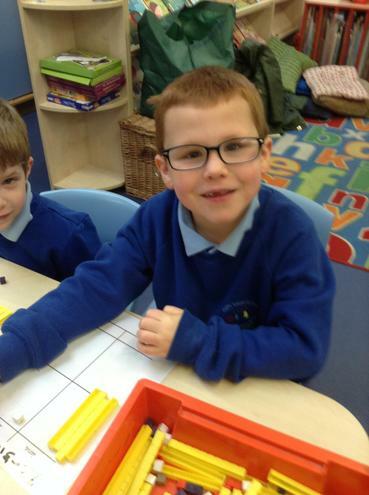 We have been incredibly busy these past 2 weeks. 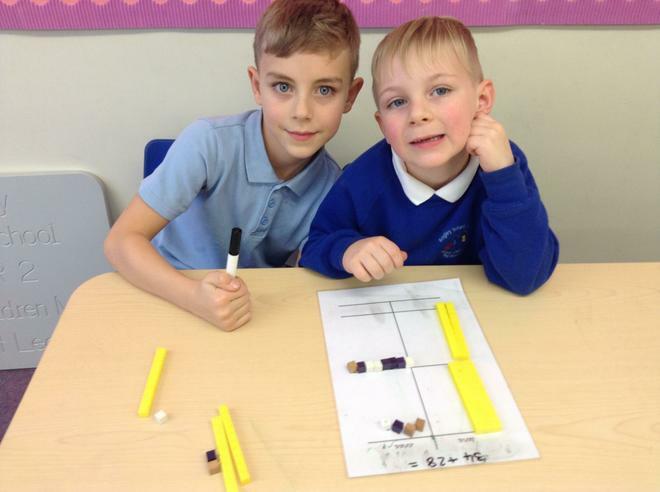 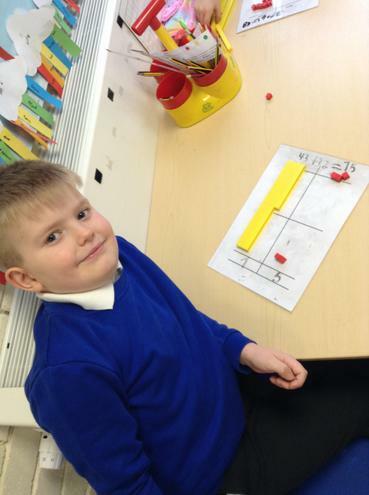 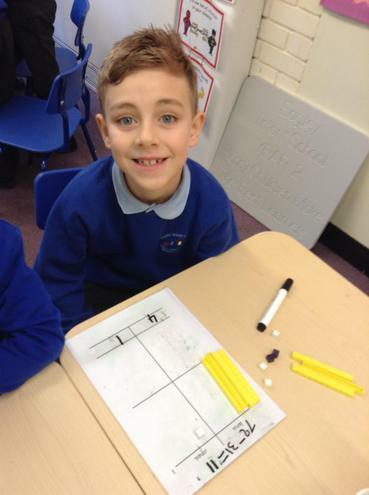 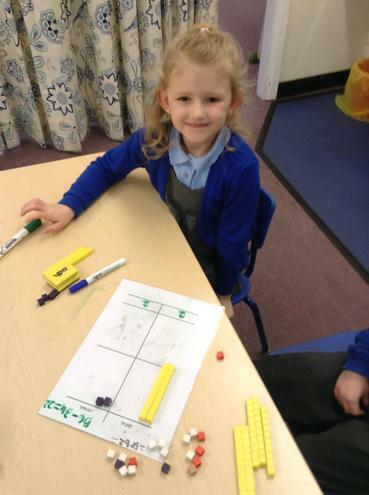 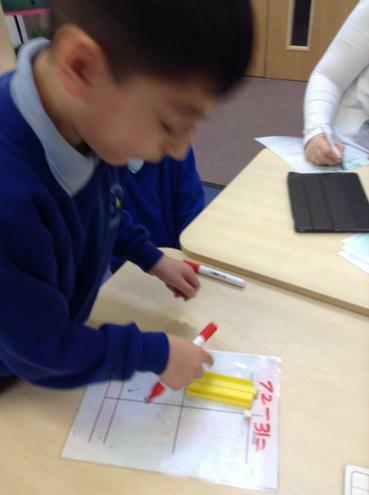 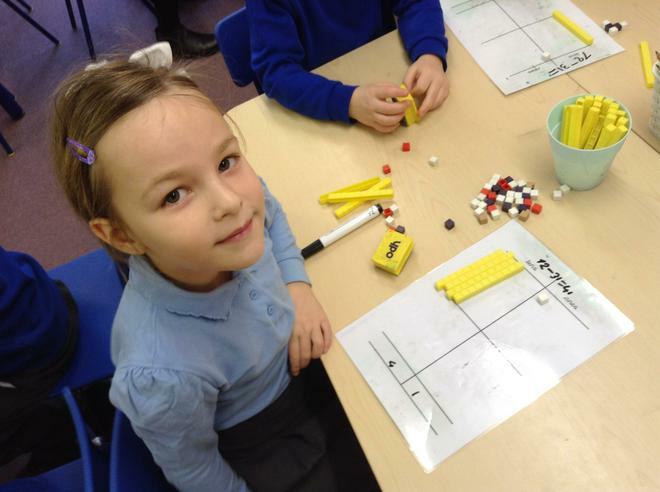 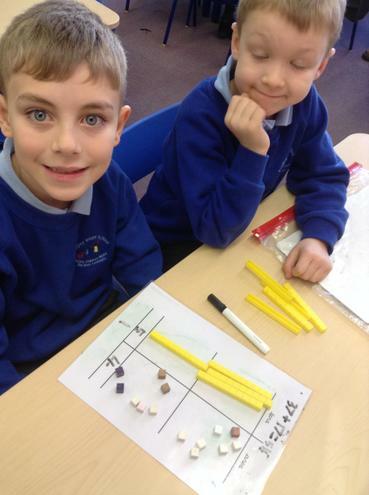 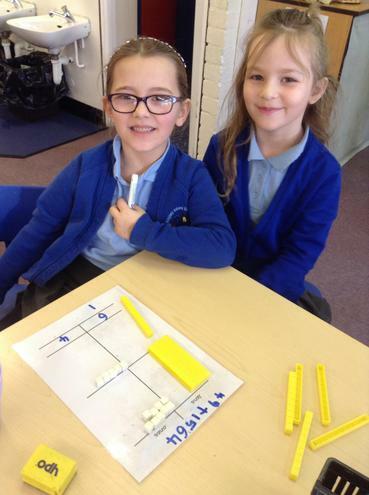 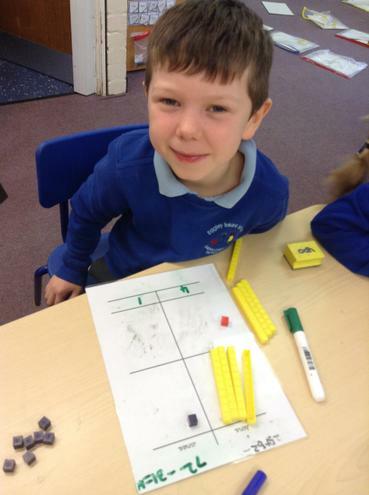 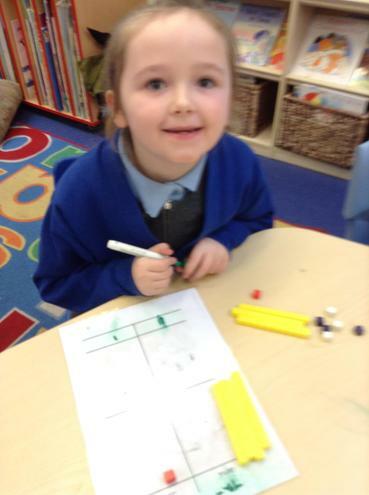 We have been looking at place value in Maths. 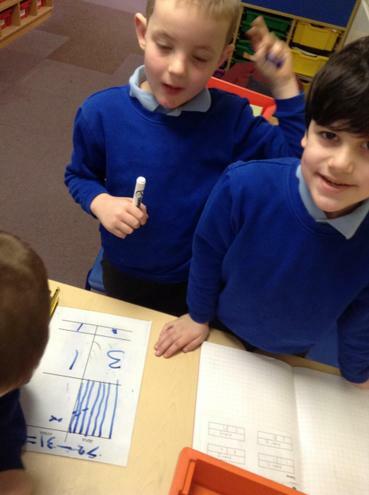 We have looked at the value of numbers to help us explain why one number is bigger than another number. 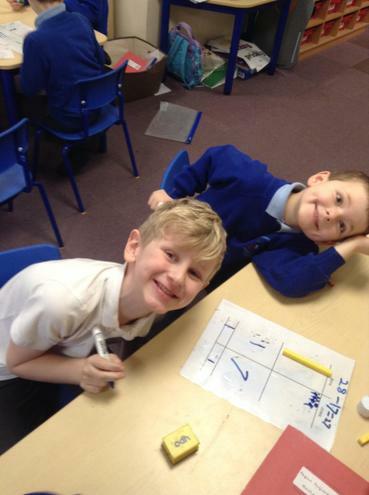 We have used this knowledge to solve a range of different problems and having a secure understanding of number this will help us with our calculations which we will be doing in the coming weeks. 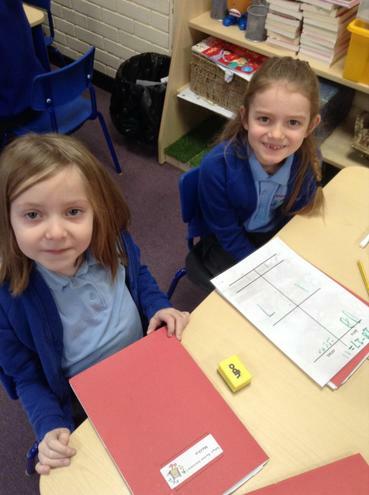 In English we have been looking at the different sentence types. 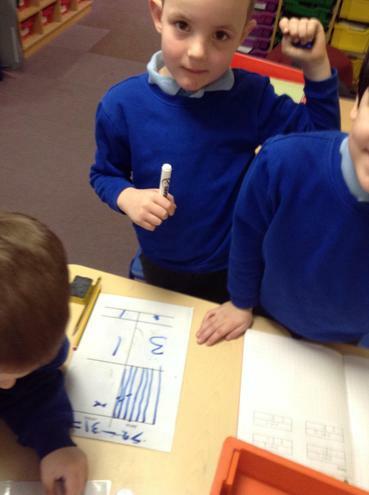 We have been looking at what makes a sentence a statement, exclamation, question or a command. 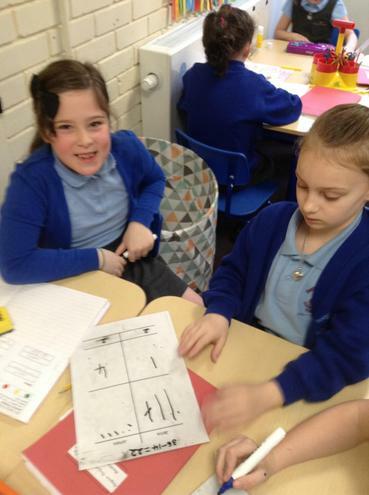 We have looked at the different grammatical components of a sentence which will determine what sentence type it is. 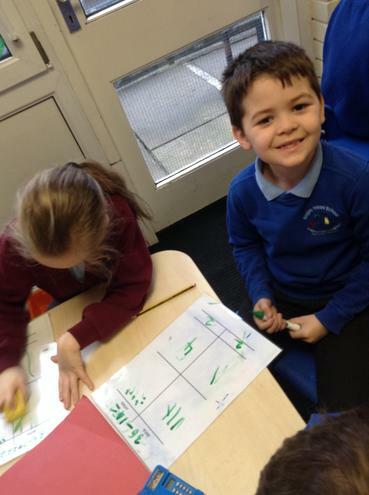 We were given different sentences from different stories and were tasked with sorting them into the different sentence types. 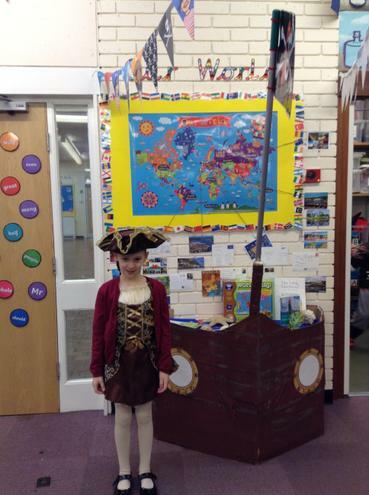 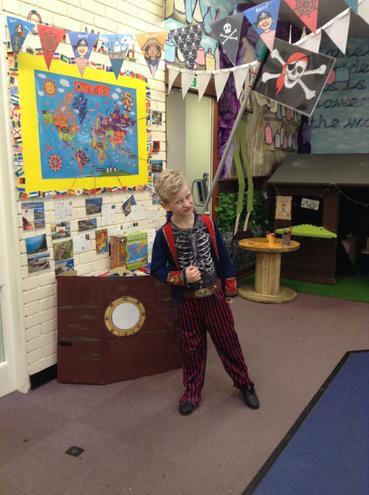 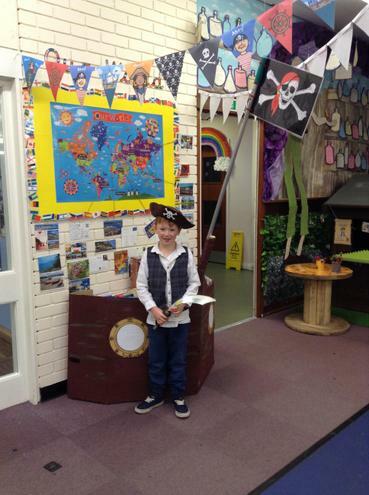 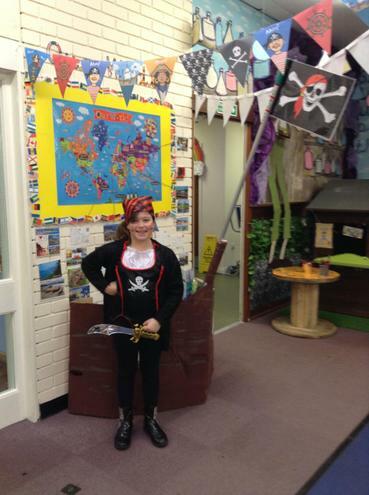 We have launched our new topic 'Treasure Island' with our usual Entry Point. 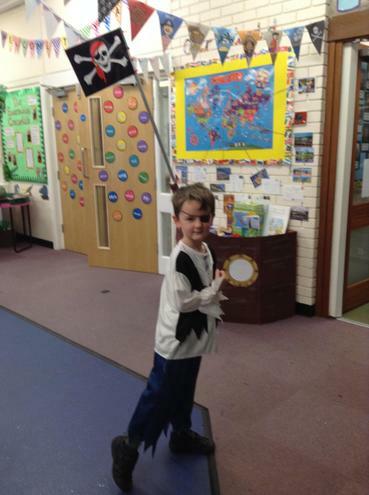 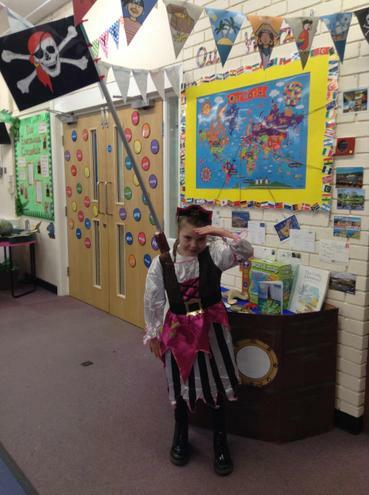 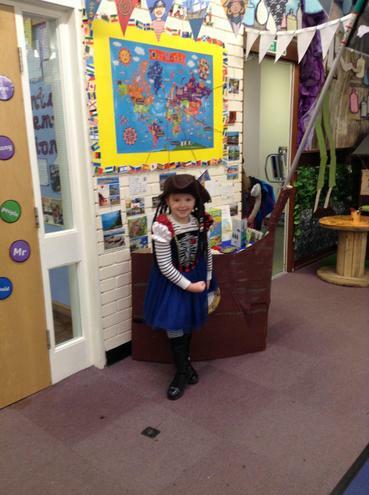 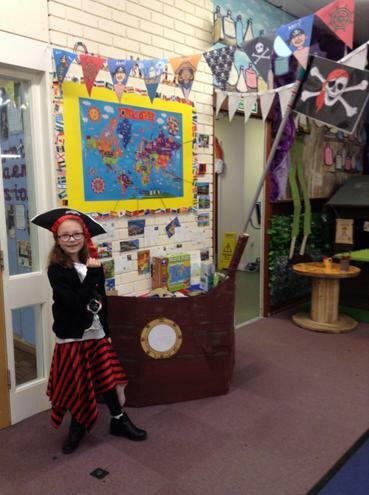 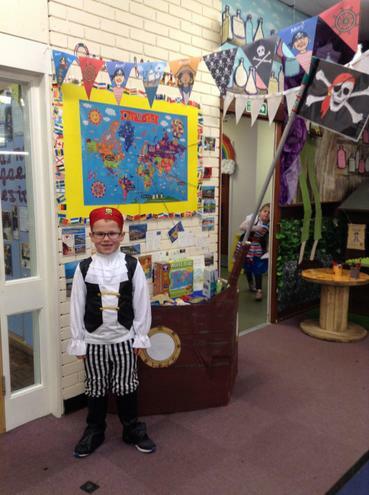 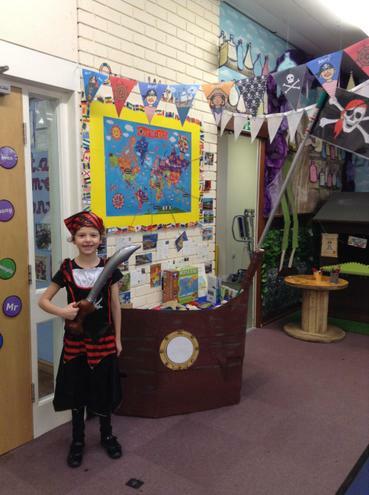 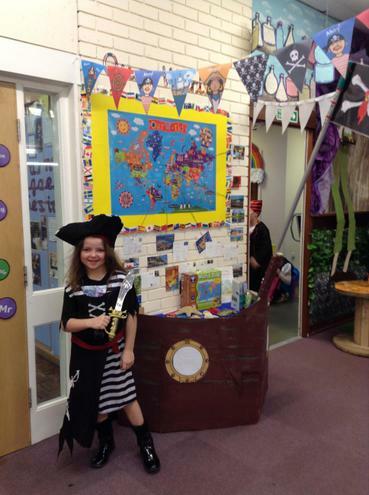 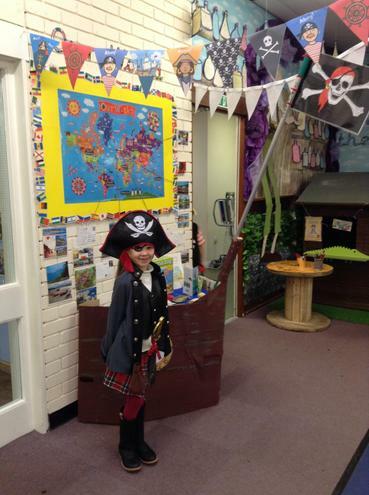 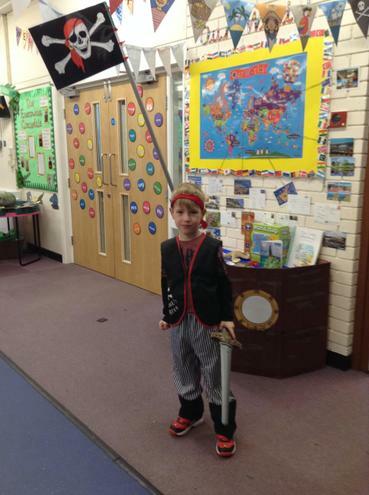 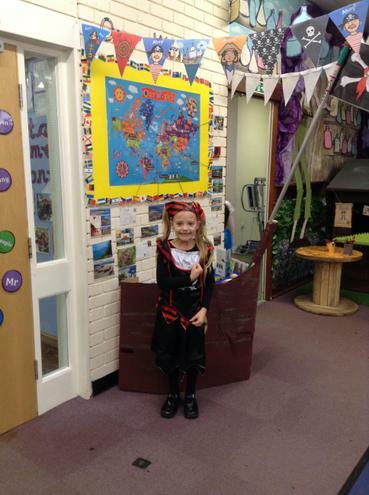 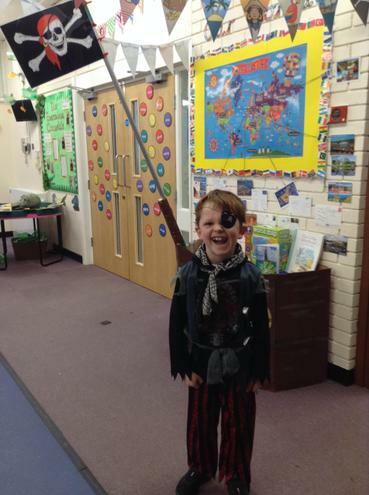 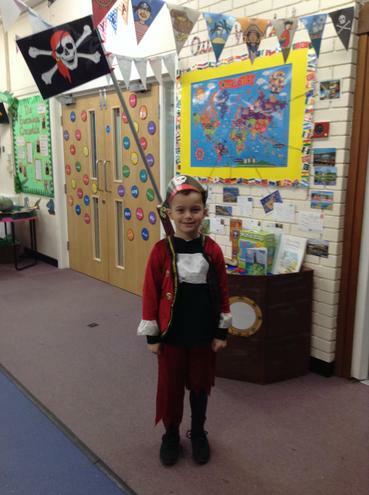 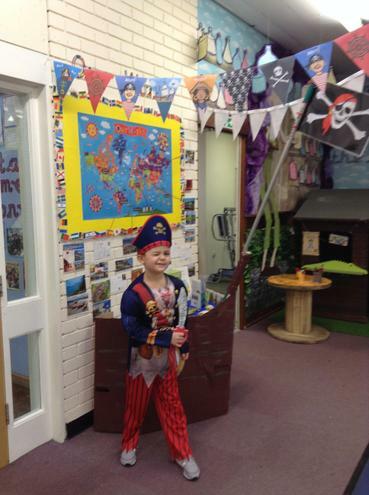 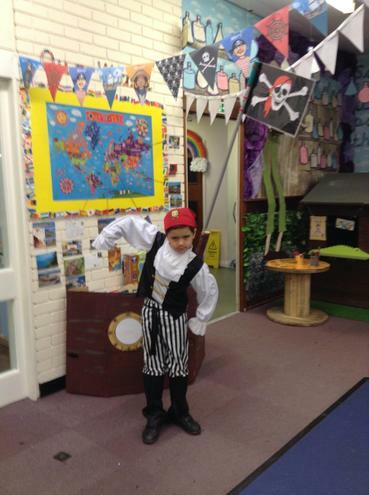 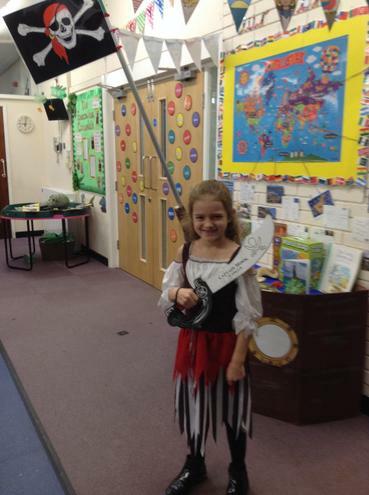 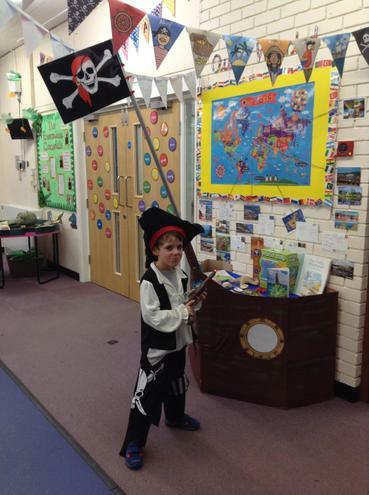 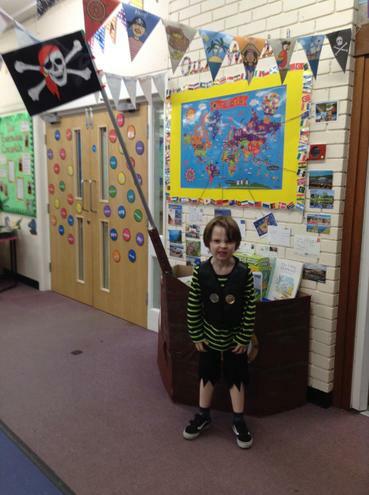 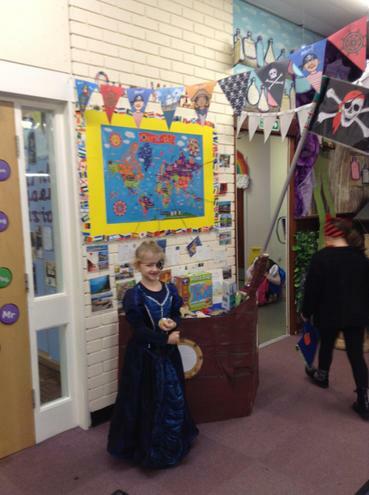 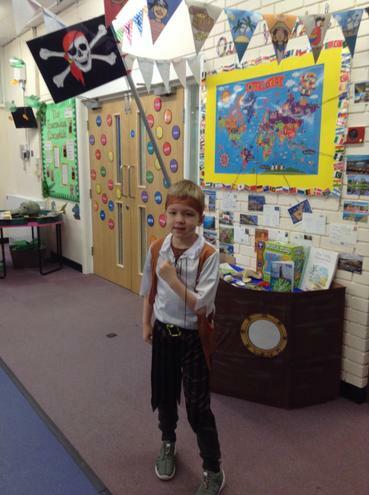 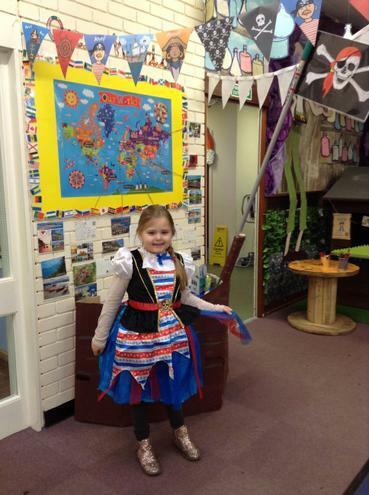 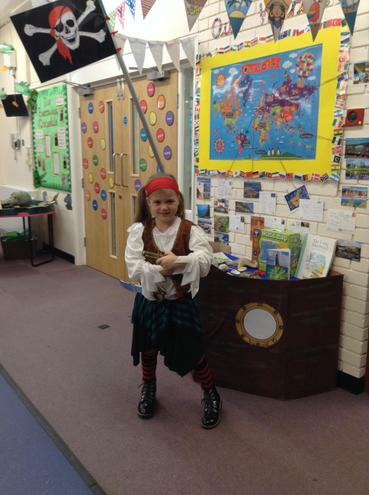 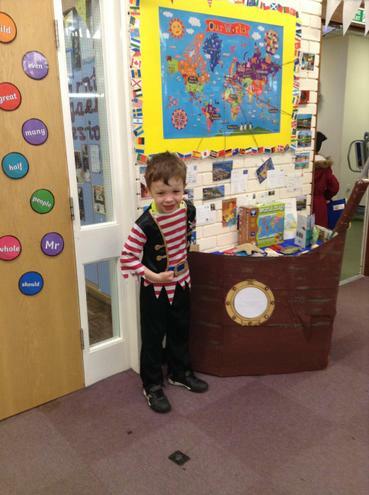 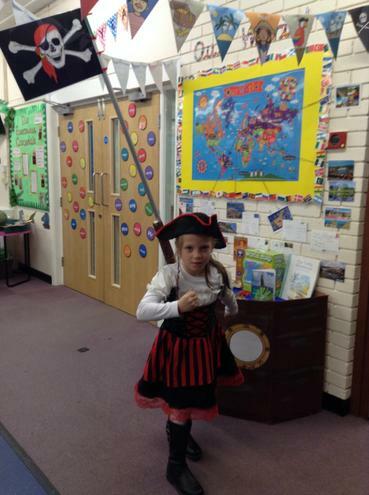 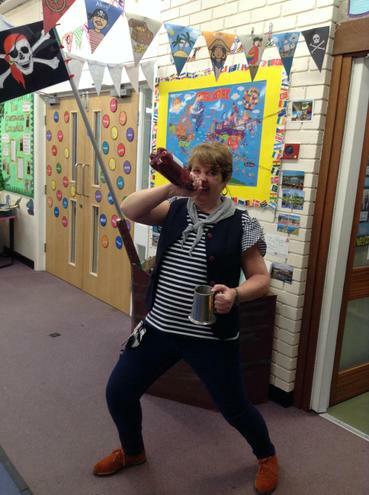 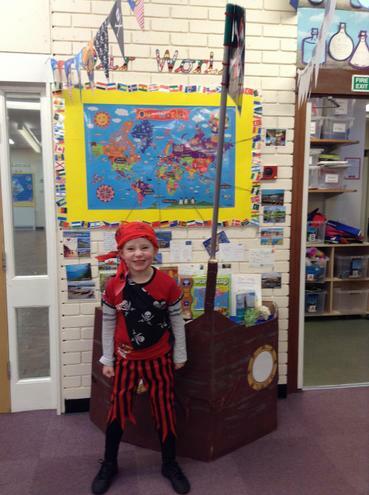 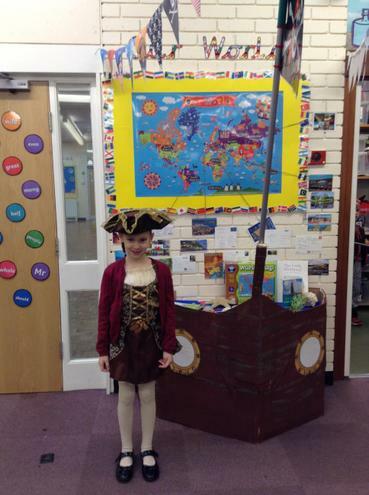 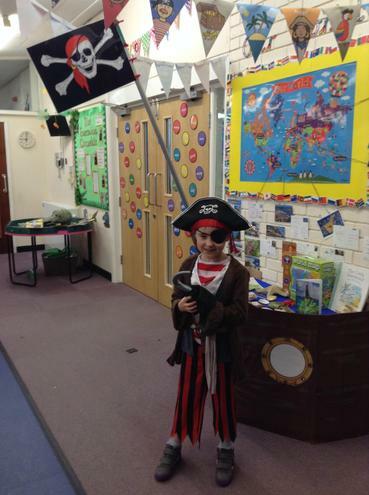 We had our Entry Point on Pirate day and the children were so excited. 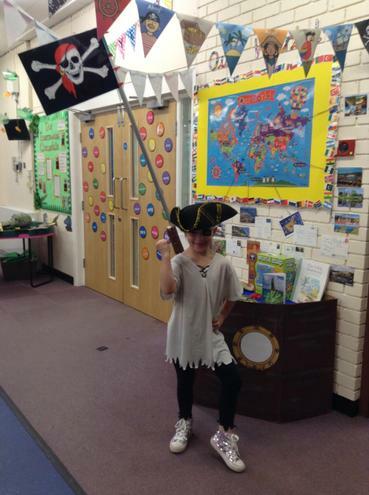 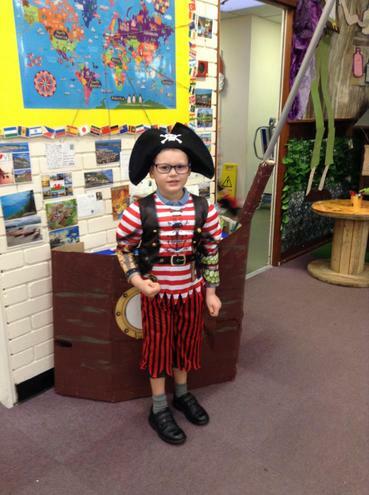 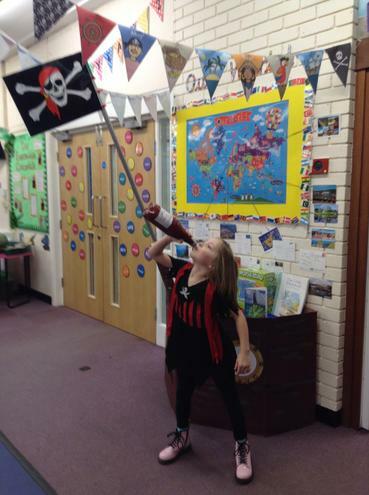 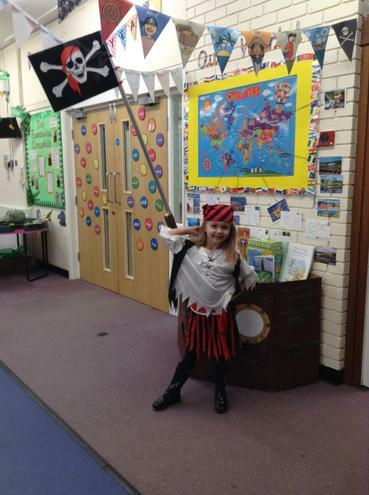 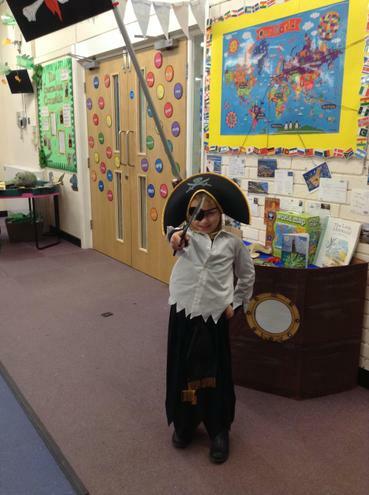 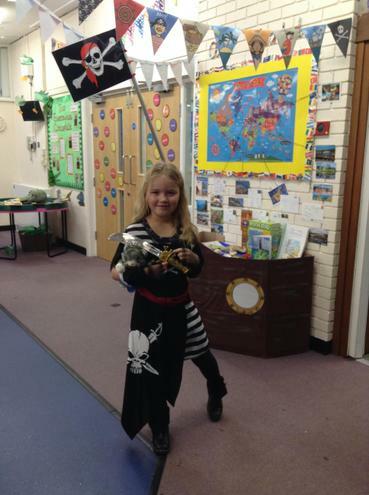 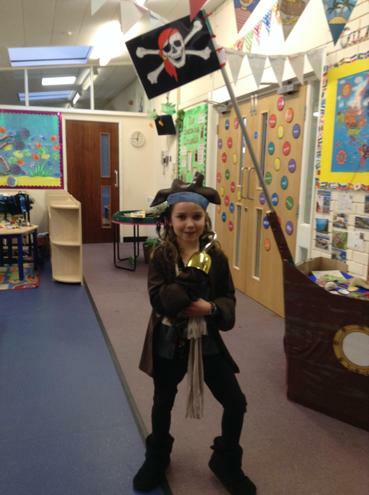 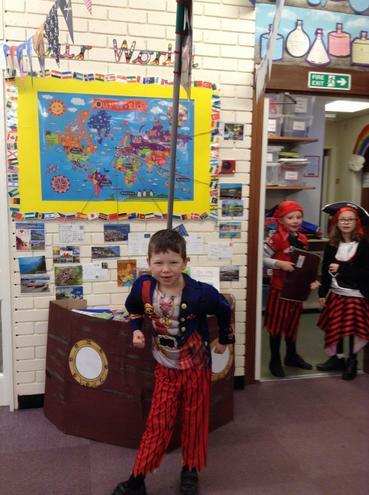 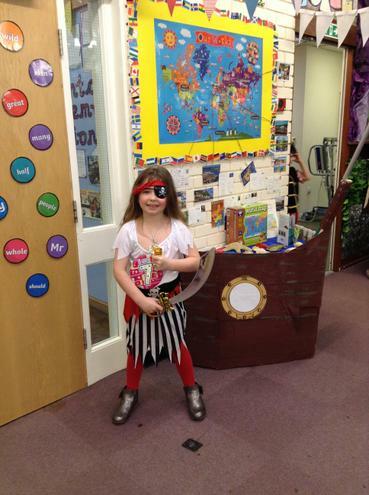 The children had to travel to the different Captains (Teachers) where each one had a special activity for our Pirate crew! 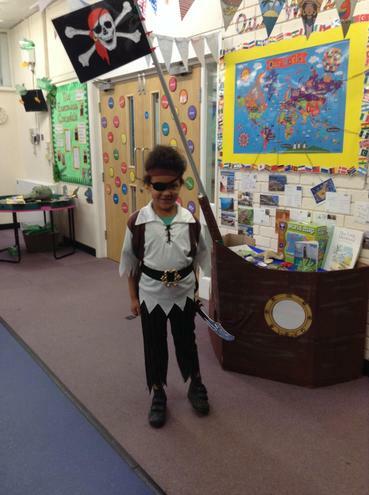 After our introduction into being a pirate we have started our learning as pirates. 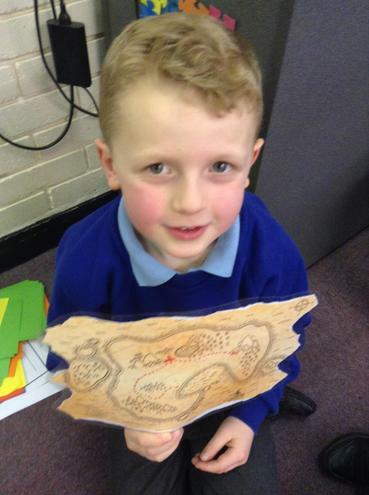 We have learnt about the different seas and the 7 continents. 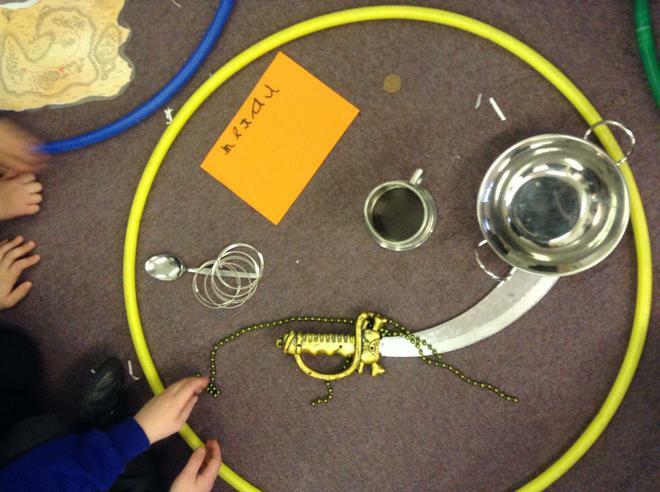 We also looked at the different rules which pirates had. 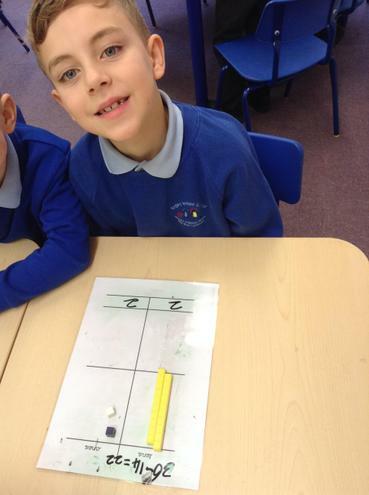 We decided some of these were a little bit mean so we decided to make our own set of rules for our class. 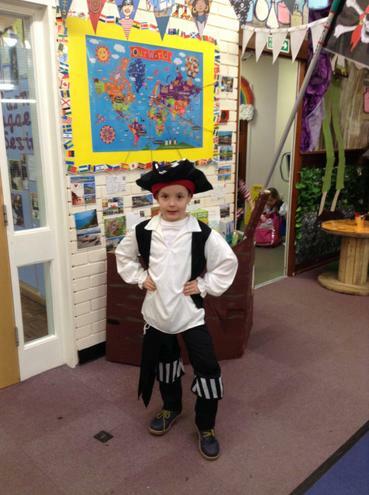 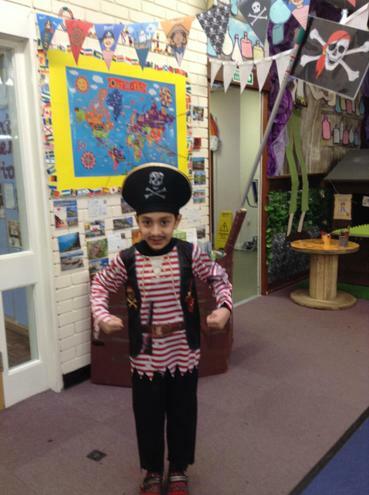 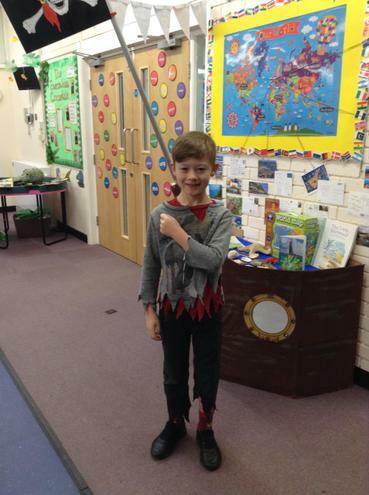 We linked our pirate learning to our English where we described ourselves as pirates. 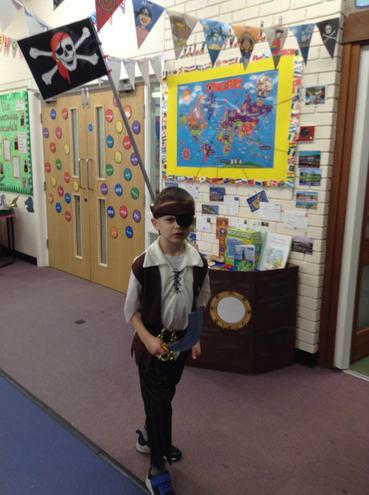 We received a letter from Captain Blackbeard asking for some new recruits for his crew. 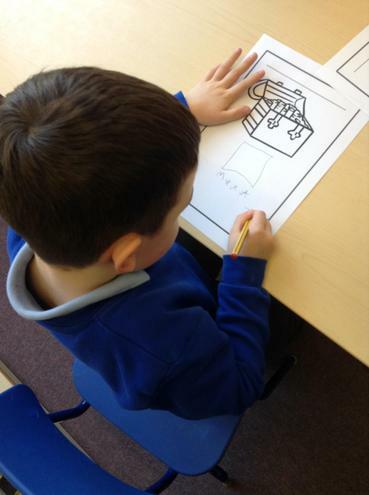 We had to describe ourselves and the different qualities which we have to make us suitable to be part of his crew. 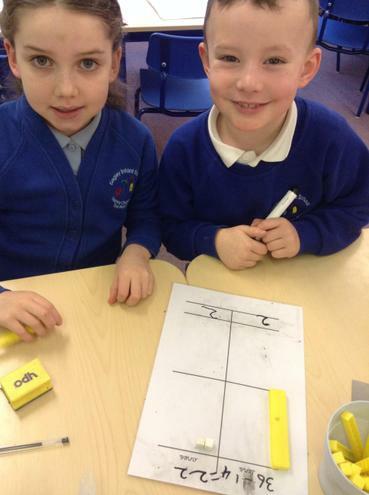 We used commas in order to separate our list of adjectives.